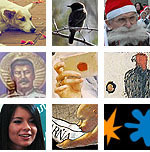 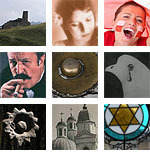 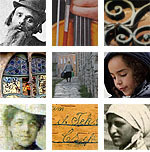 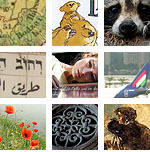 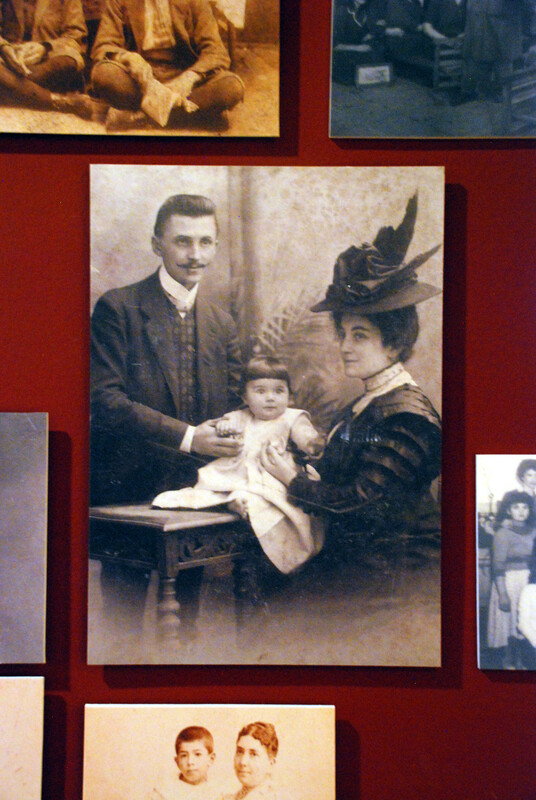 Among the many ethnic groups of historical Hungary perhaps the Armenians are the least known. 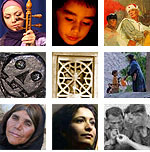 True, many of us have an acquaintance with Transylvanian Armenian origins, and in the early 1990s, after the introduction of the new law on ethnic minorities we saw with surprise the multitude of the newly formed Armenian local governments, but the exact origins and time of arrival of the Armenians to Hungary and the considerable role played by them in 18th to 20th-century Hungarian history was only recently presented in detail by such volumes as Miklós Gazdovits’ Az erdélyi örmények története (History of the Transylvanian Armenians, 2006), Gazda Dezső’s Gyergyói örmények könyve (Book of the Gyergyó Armenians, 2007), or the Örmény diaszpóra a Kárpát-medencében (Armenian diaspora in the Carpathian Basin, 2006-2007), edited by Sándor Őze and Bálint Kovács. 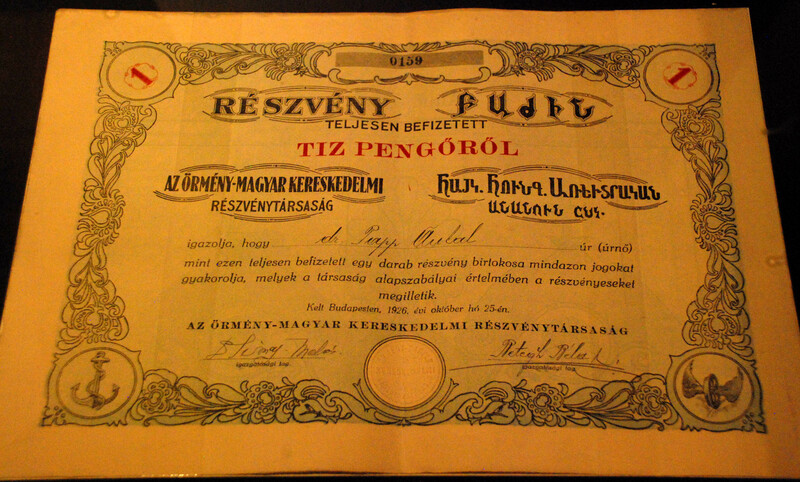 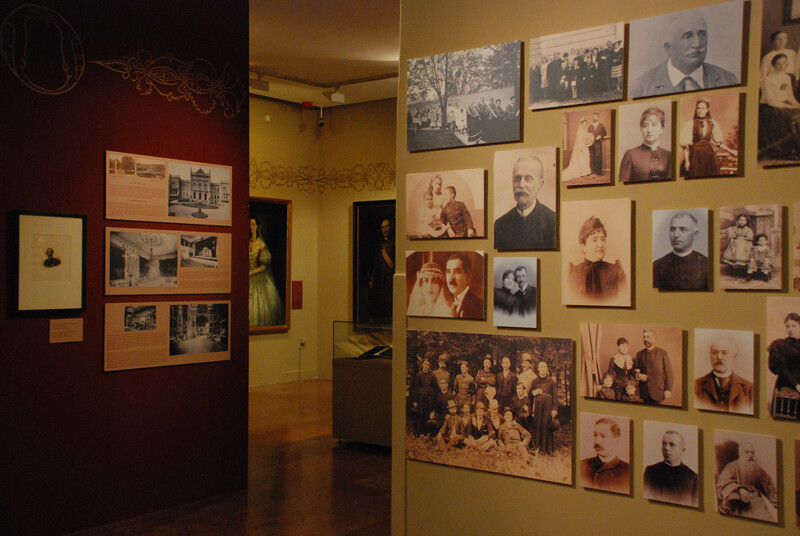 This makes so important the exhibition Far away from Mount Ararat – Armenian culture in the Carpathian Basin of the Budapest History Museum, which for the first time gives an overview on the history and culture of the Armenians in Hungary. 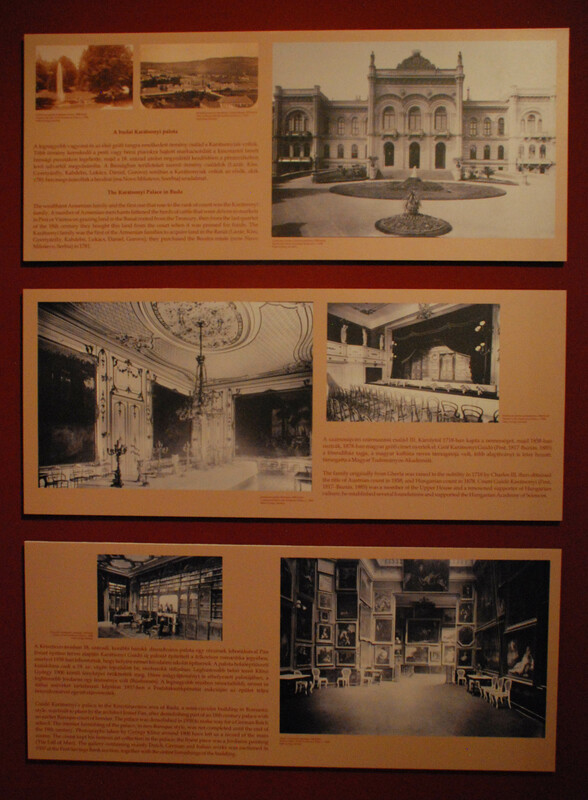 The exhibition does not attempt to be comprehensive. 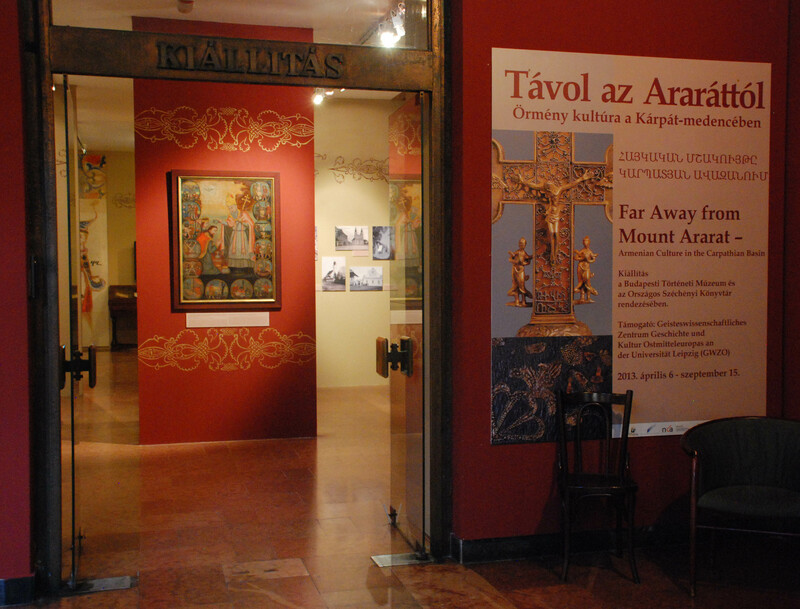 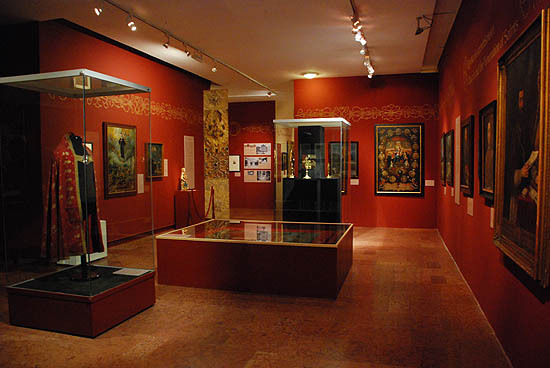 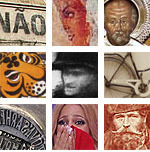 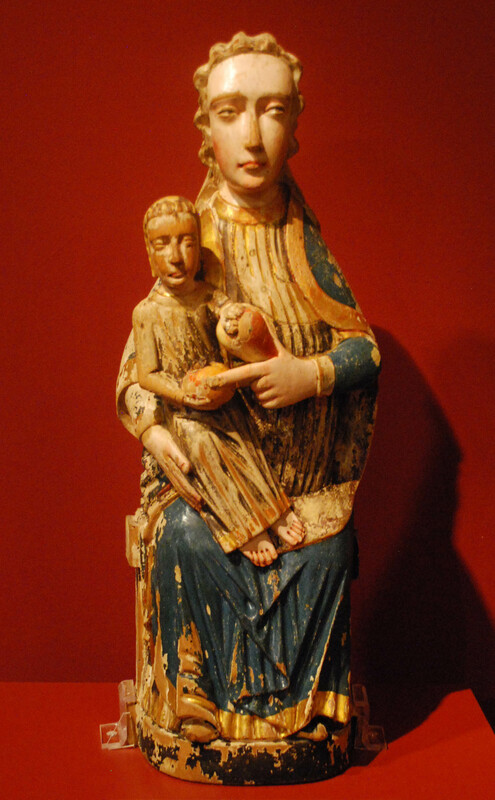 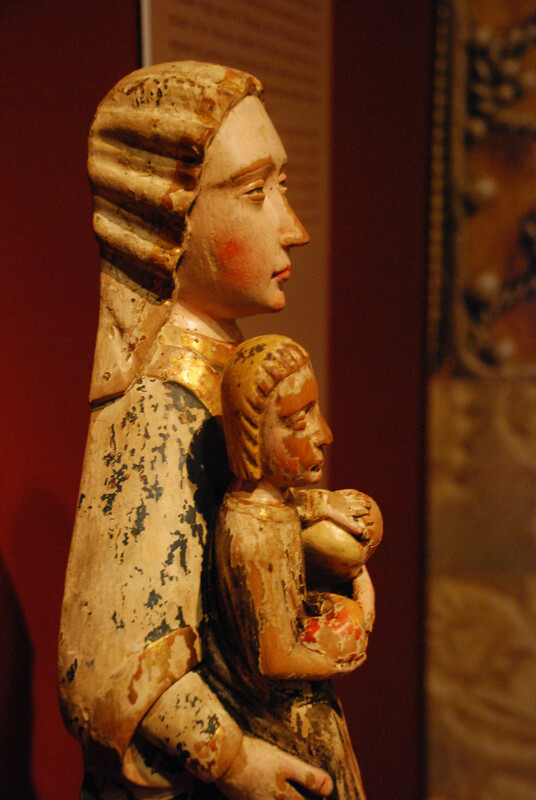 It only groups around some core themes a large number of Hungarian Armenian objects of art, most of which are now presented for the first time at a public exhibition. 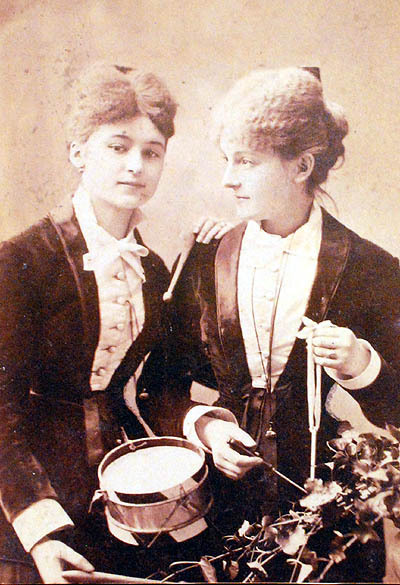 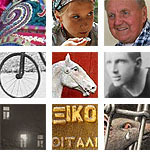 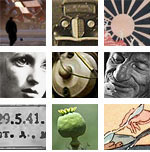 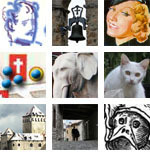 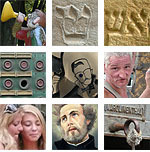 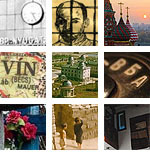 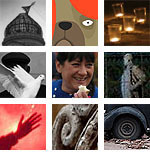 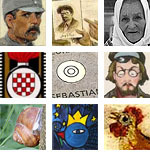 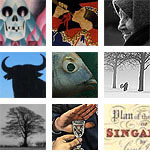 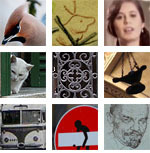 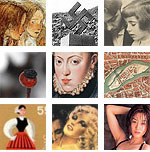 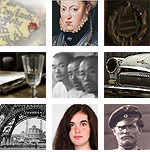 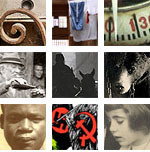 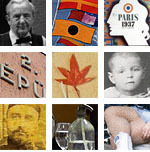 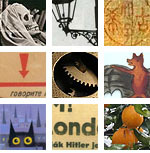 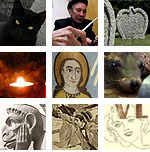 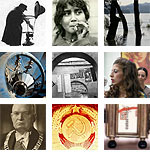 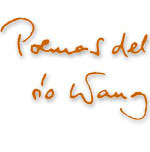 The themes are introduced by short descriptions, and the juxtaposition of the objects in itself suggests a historical and thematic thread, but – and this is our only, but serious criticism – precisely the obscurity of this history and the ground-breaking character of the exhibition would have required a catalog to present in detail the historical and social context of these objects, persons and places. 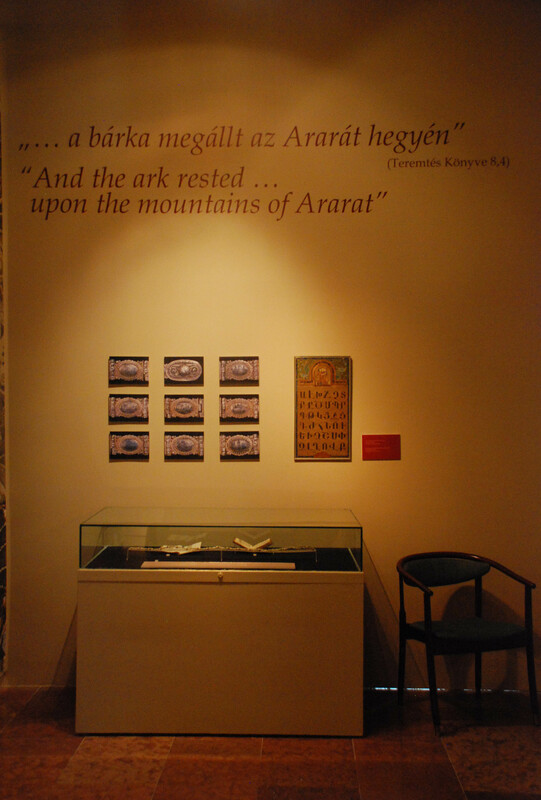 The road leading through the over four hundred years of history of the Armenians in Hungary starts at Mount Ararat, as the basic reference point of post-flood humanity and especially of the Armenians, from which the Armenians immigrating into Transylvania in the 17th century were indeed far away. 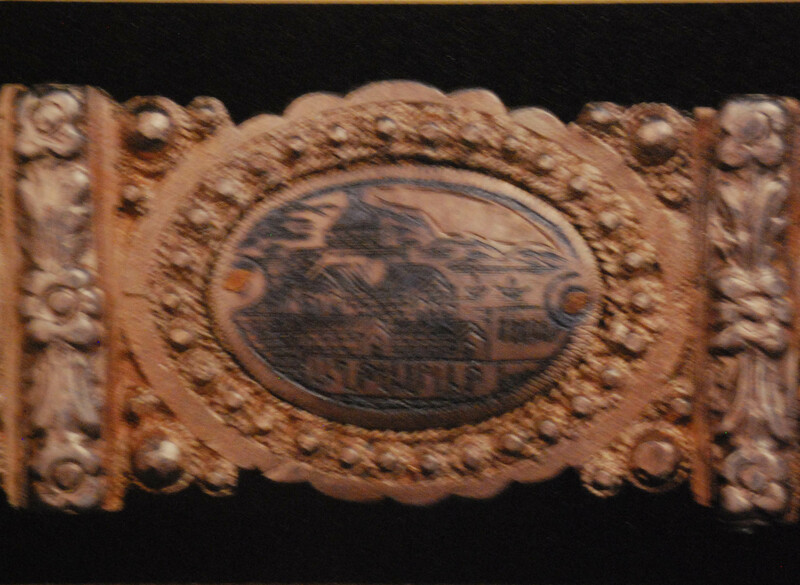 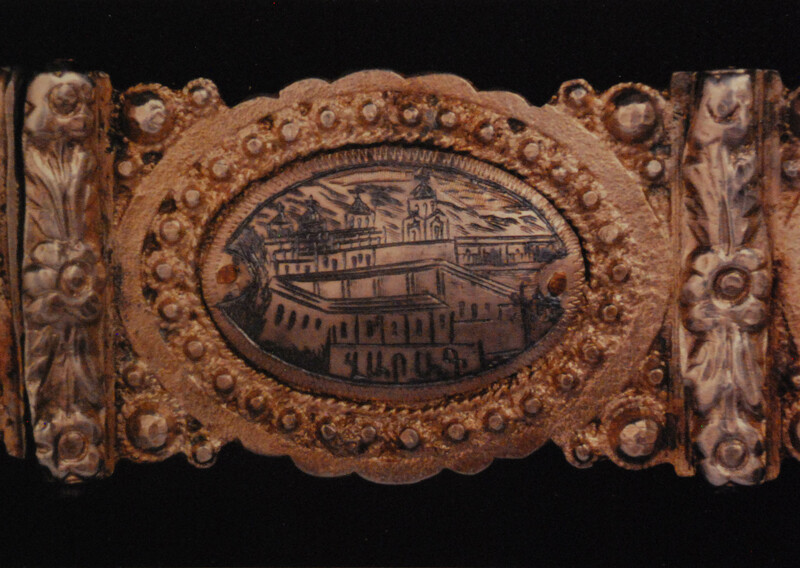 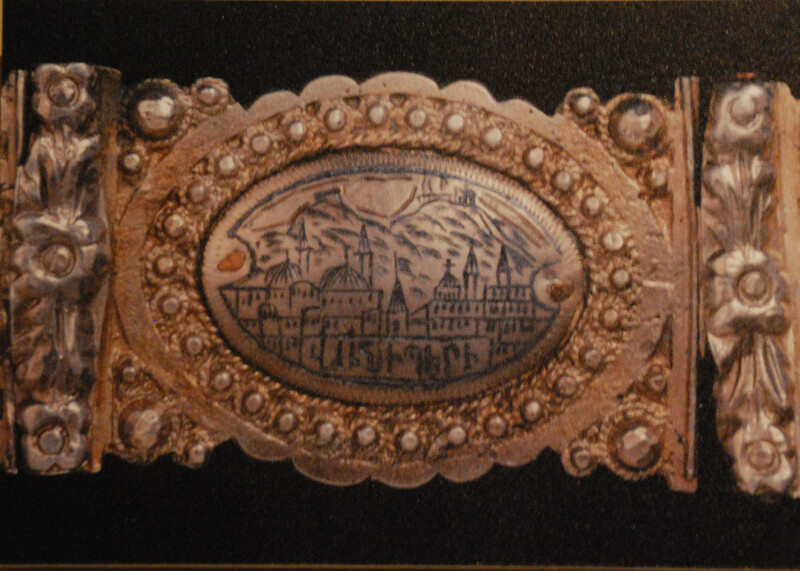 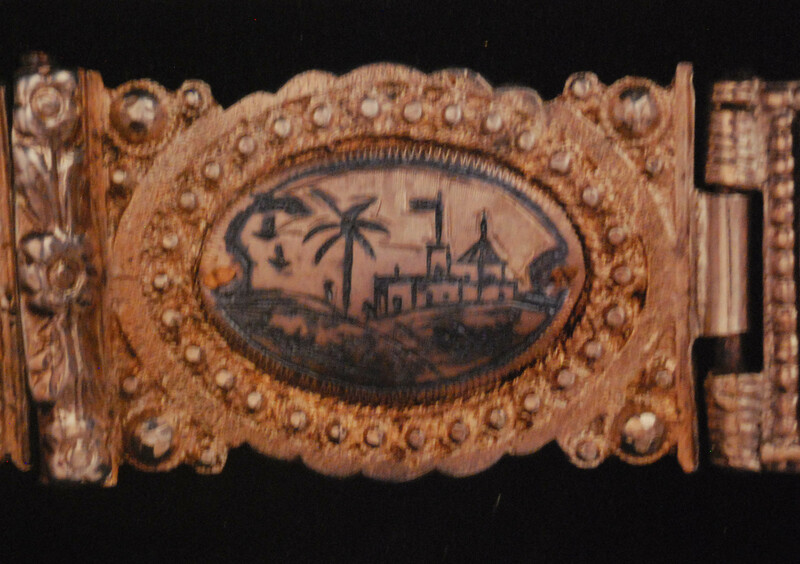 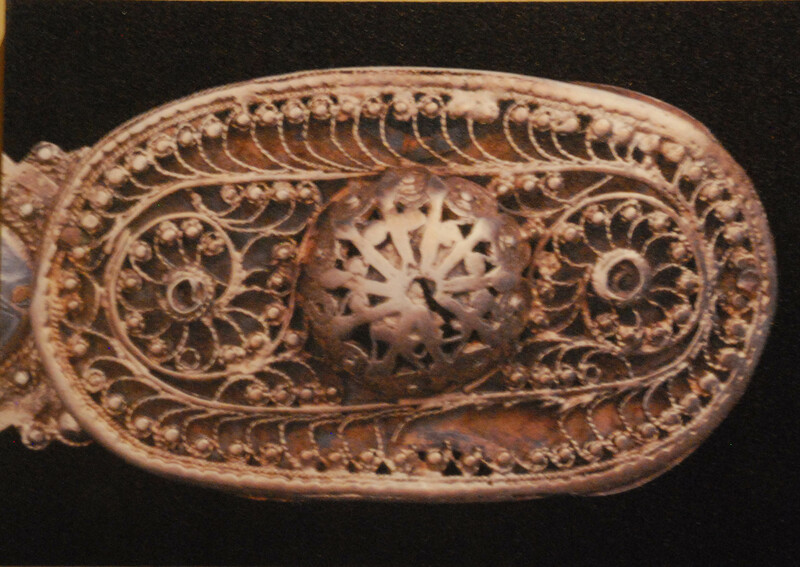 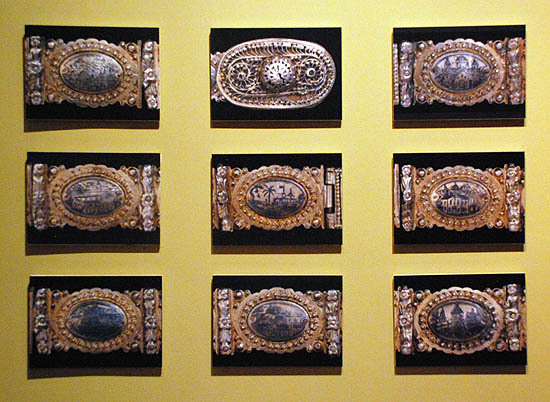 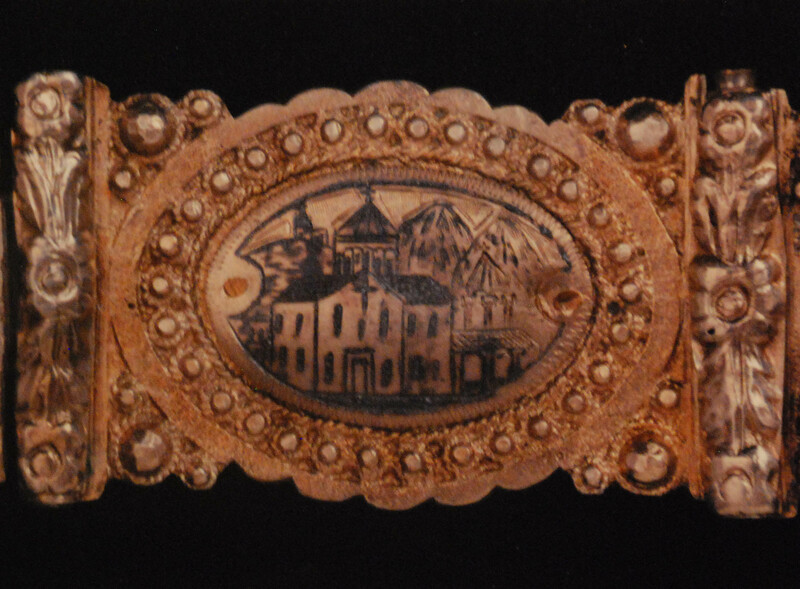 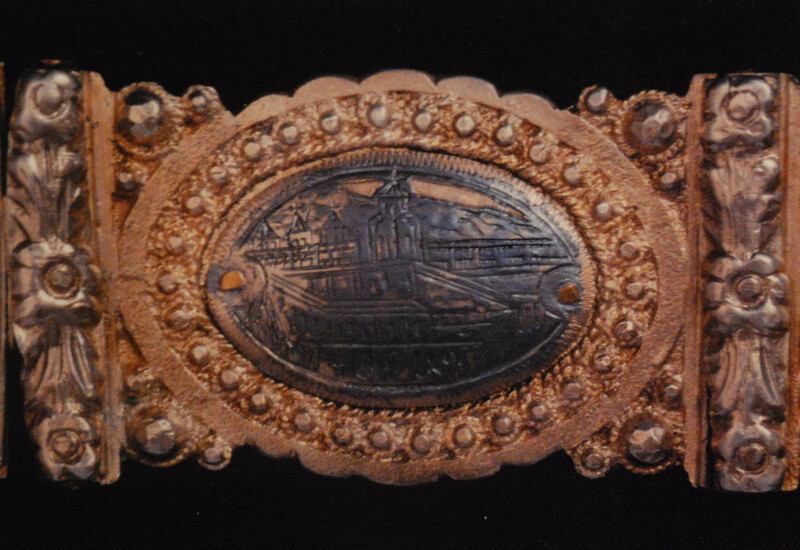 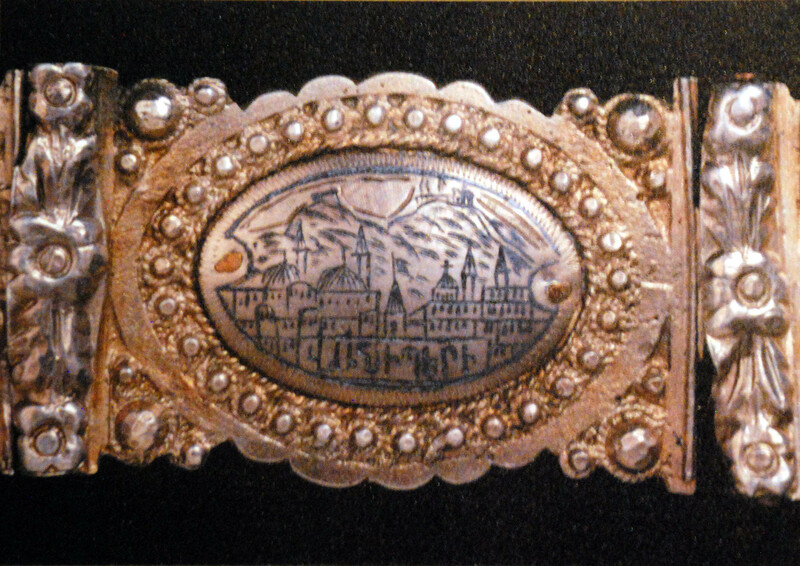 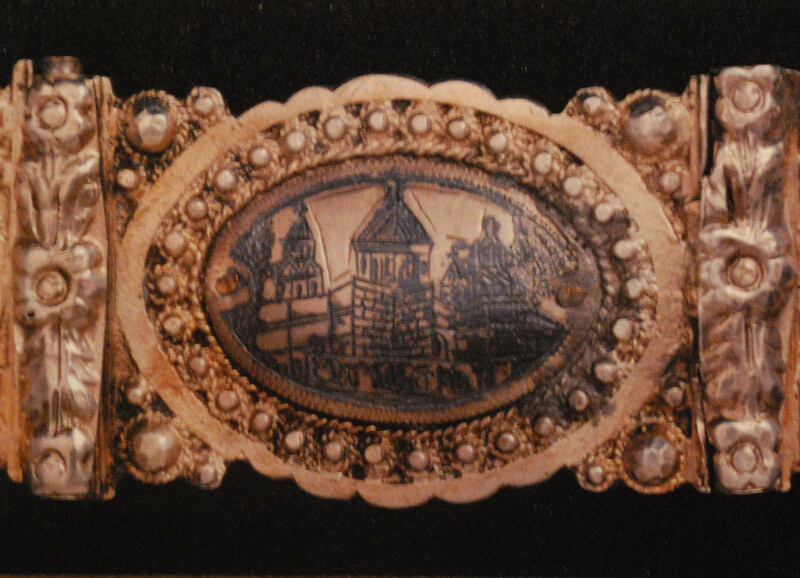 But the proof that they have preserved the memory of the origins is the 19th-century silver belt, inlaid with gems, conserved at the Armenian Catholic Parish of Budapest, whose pieces represent the vedutas of ancient Armenian cities, Varaghavank, Van, Echmiadzin, Aghtamar (each image is enlarged by moving the mouse above them). 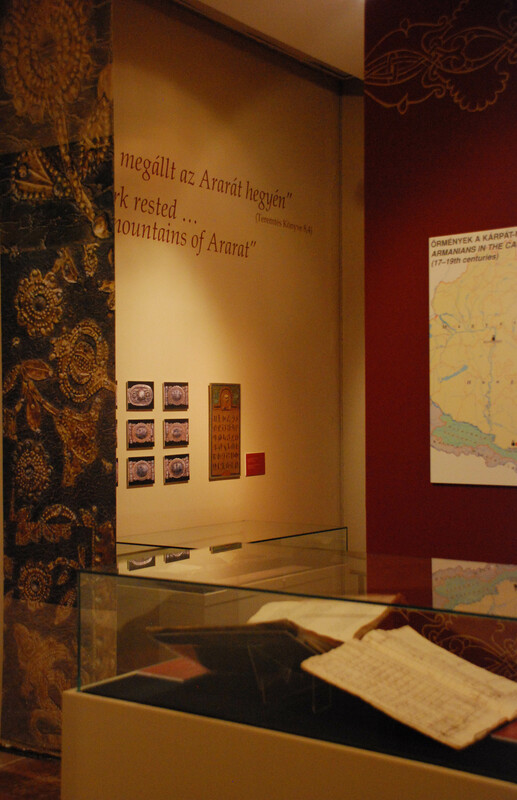 In the middle of the room of the beginnings we are greeted by the icon of St.Gregory the Illuminator, Apostle of the Armenians, due to whose efforts Armenia became the first Christian country in 301. It is a nice transition from the Ararat to the other, Transylvanian half of the room that the icon of the 3rd-century bishop, preserved in the Armenian church of Szamosújvár/Gherla was painted in a popular Transylvanian Baroque style, just as his statue standing in the main square of the Armenian quarter of Isfahan bears the traits of the figures of the Persian heroic epic. 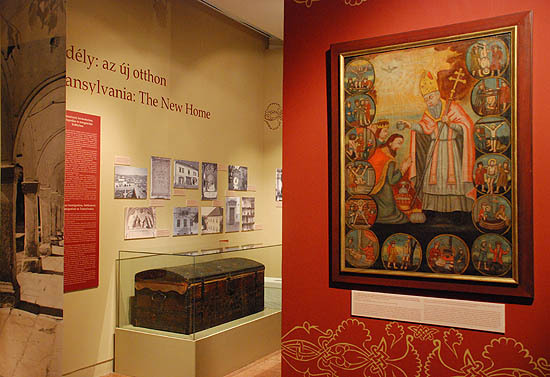 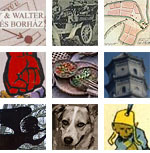 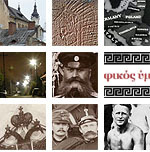 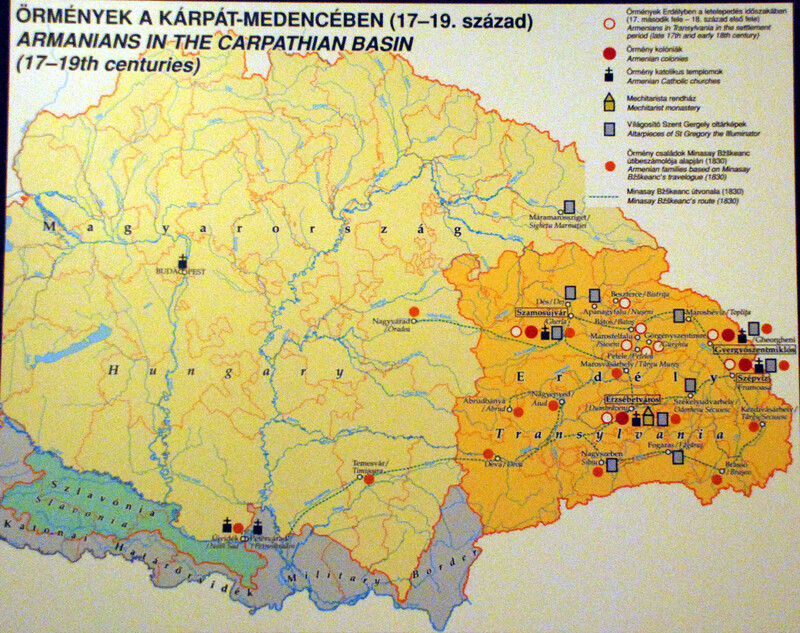 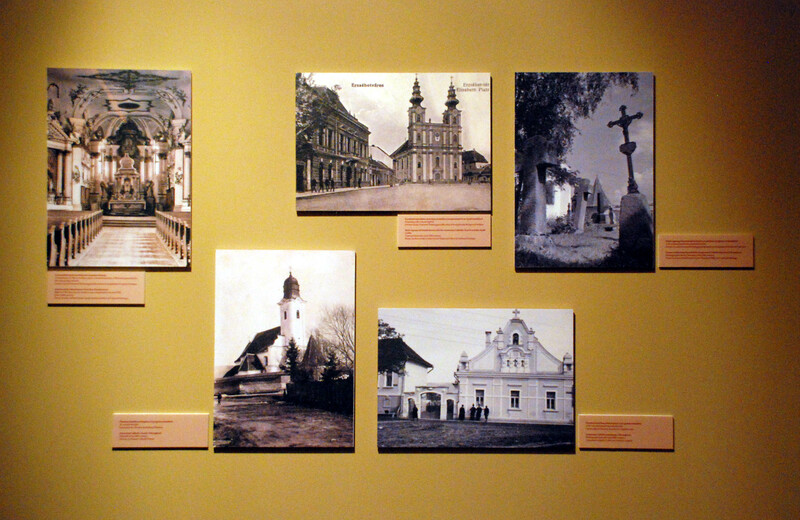 The Transylvanian settlement is evoked by only a few archival images and objects – hope chests and a couple of wedding medallions from the Issekutz family – from “the four Armenian parishes”, Szamosújvár (Gherla, Armenopolis, Հայաքաղաք–Hayakaghak), Erzsébetváros (Eppeschdorf, Dumbrăveni), Gyergyószentmiklós (Gheorgheni), Csíkszépvíz (Frumoasa), primarily the first of them, from whose church collections a great part of the exhibited material is drawn. 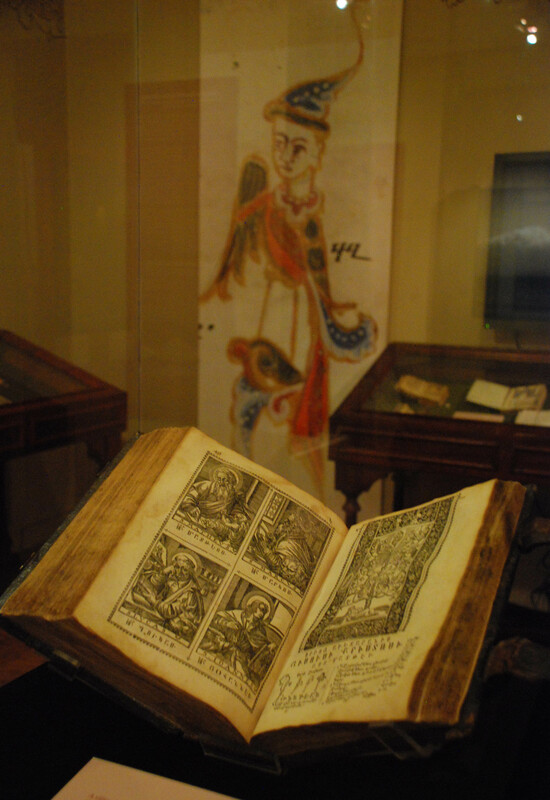 The next room illustrates the history of Armenian book printing with a large number of never exhibited books from Armenian collections in the Carpathian Basin, including the world’s first printed Armenian bible and Armenian textbook. 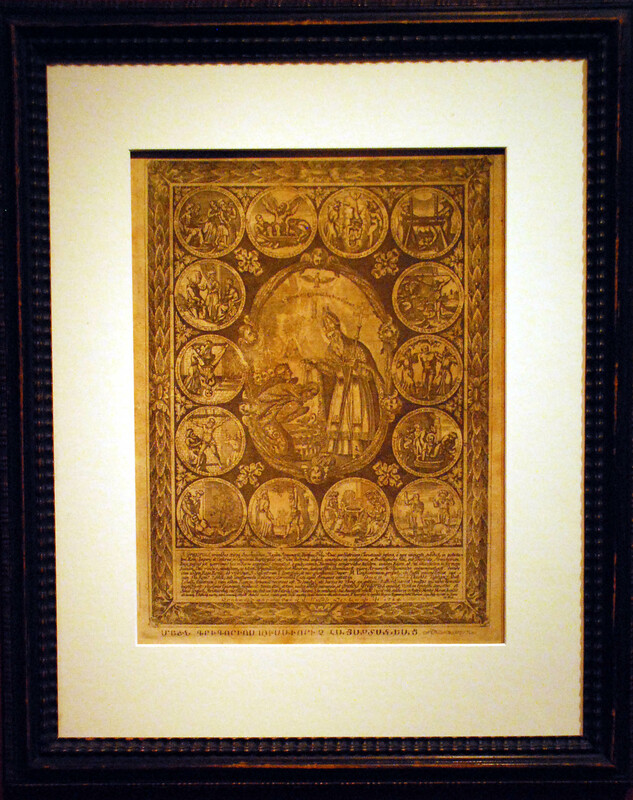 This topic is also the apropos of the exhibition, organized for the five hundredth anniversary of the publication of the first Armenian printed book, the prayer book called Urbatagirk, “Friday Book”, printed by the Venetian Hakob Meghapart (“the sinful James”) at the turn of 1512-13. 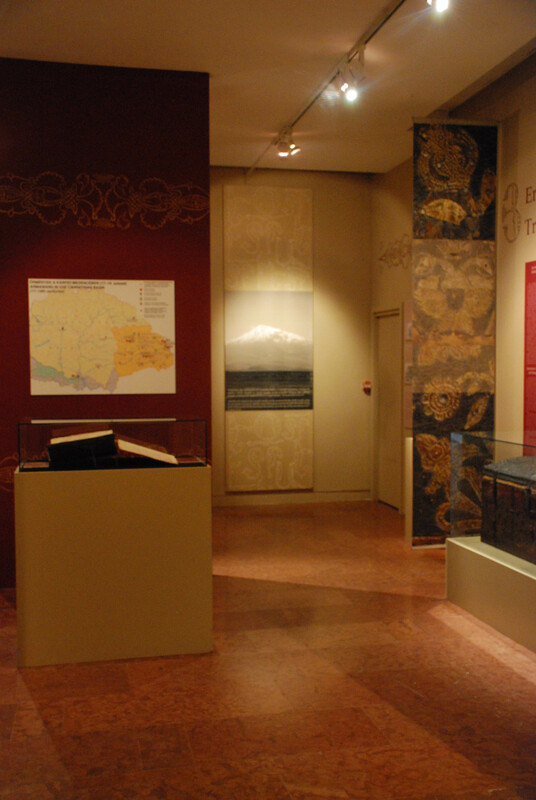 The short summaries at the display cases outline the history of Armenian typography. 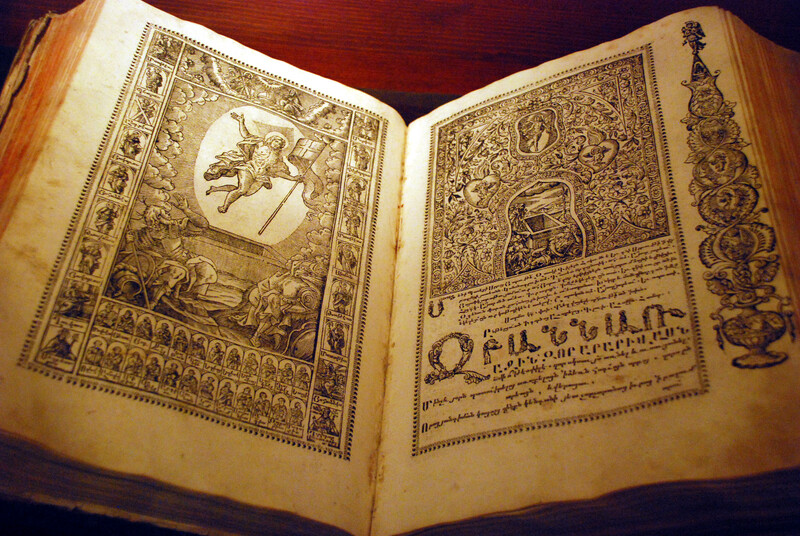 The printing press of Hakob Meghapart was brought by his successor to Constantinople, where in the 18th century they published about 300 works in more than 20 Armenian printing houses. 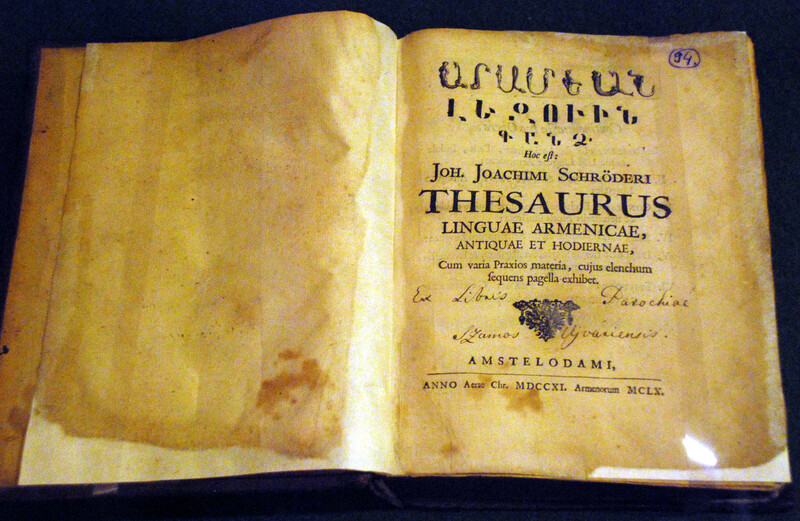 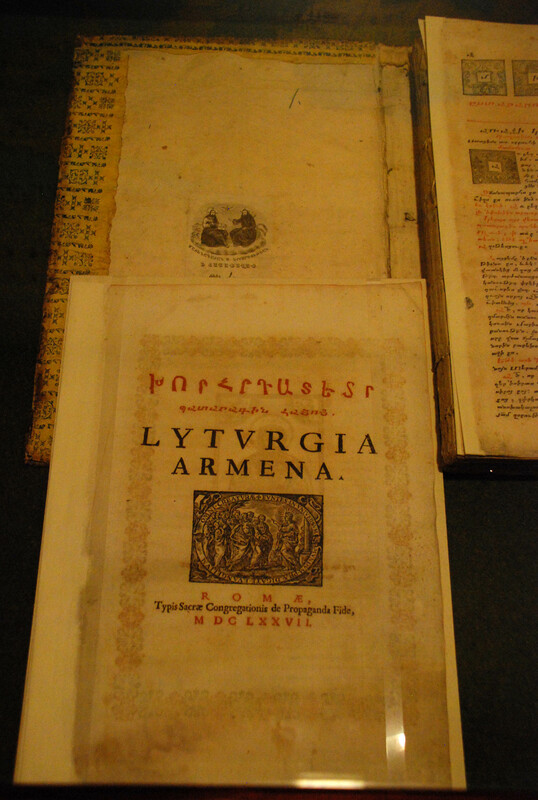 However, the Transylvanian Armenians, who in the late 17th century united with the Catholic church, got the bulk of their books from the Typographia Polyglotta of the Roman Propaganda Fide: by the end of the 18th century we know 44 Armenian works published here. 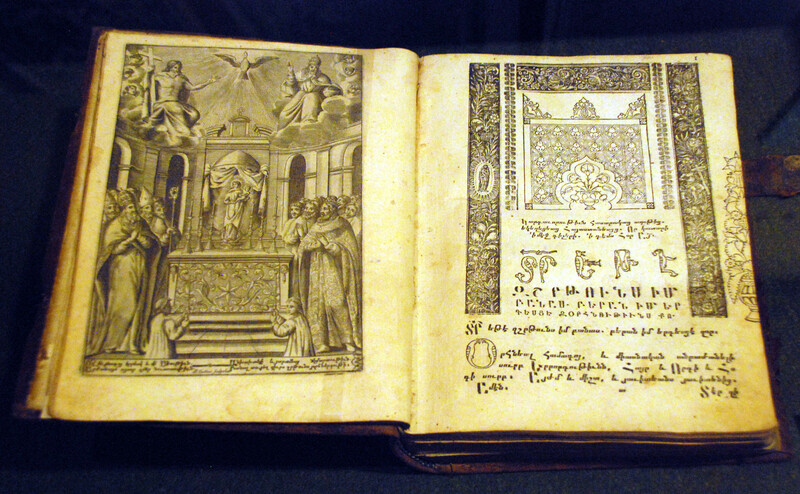 The Mechitarist Order, founded in 1701 in Constantinople, and working from 1715 to the present day on the St. Lazarus Island in Venice – the “Armenian Benedictines”, the greatest exponents of armenology of the period – published their Armenian books in Italian printing houses until the late 18th century, but in 1789 they founded their own printing press, where they published hundreds of books in nearly forty languages: these, due to the Armenian diaspora, reached even the most remote provinces of the Ottoman Empire. 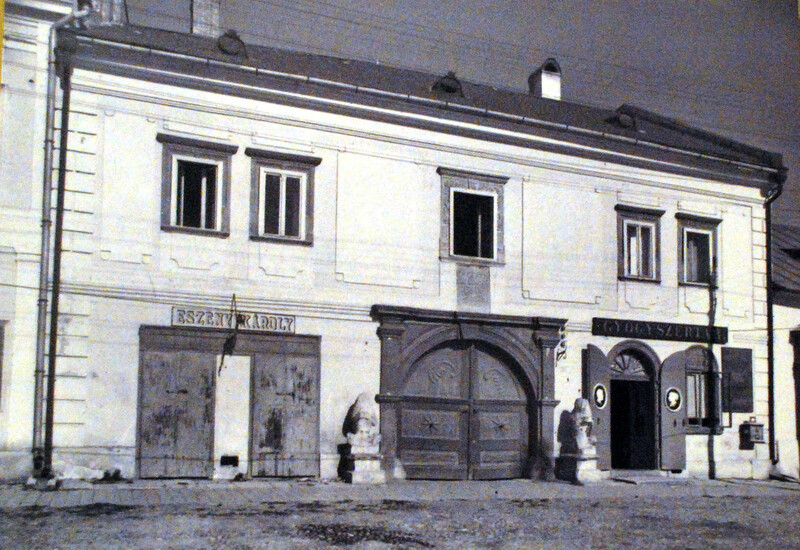 In 1773 a group of the Venetian Mechitarists settled in Trieste, and in 1810 they moved to Vienna, having an important scientific and publishing activity in both places. 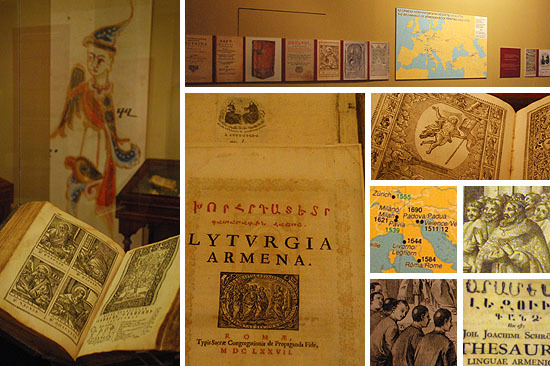 A Transylvanian Hungarian printer also played a decisive role in the history of Armenian typography. 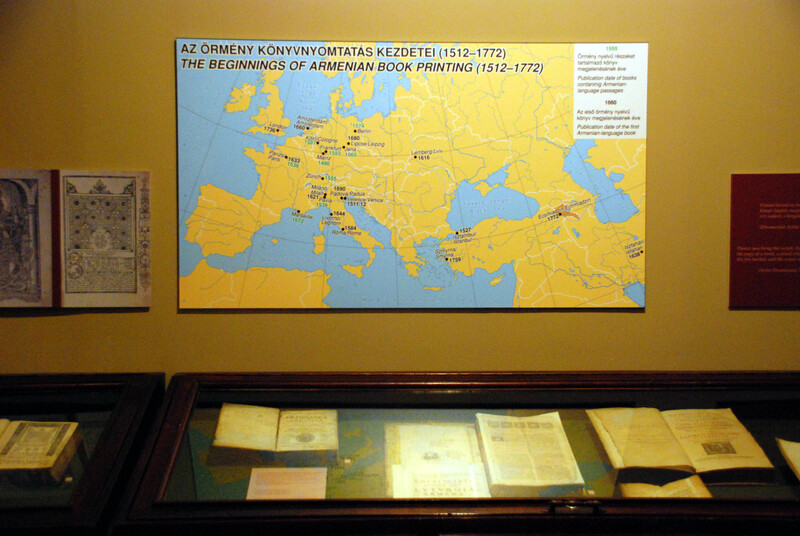 The most influential Armenian printer, Voskan Yerevantsi founded his printing house in Amsterdam in 1660, and as he was unsatisfied with the available Armenian fonts, he ordered the design of a new Armenian font from Miklós Kis of Misztótfalu, which quickly spread throughout Europe, and its various versions are still in use. 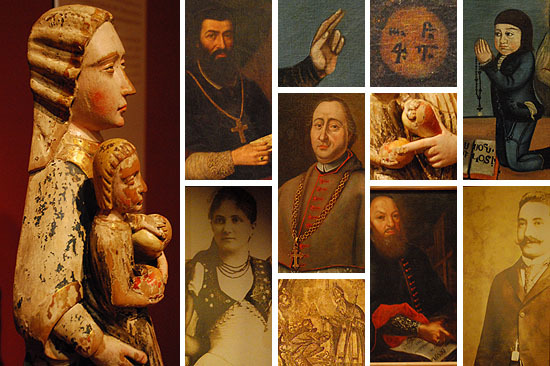 A separate room is dedicated, apparently due to the richness of the material, to the monuments of the Armenian Catholic Church in Transylvania, pontifical portraits, church dresses, votive and altar paintings. 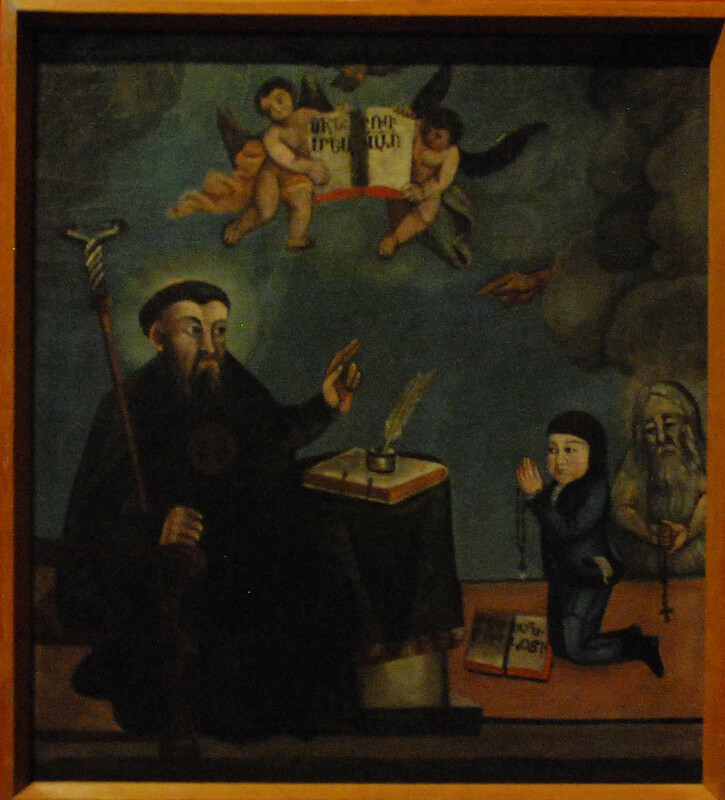 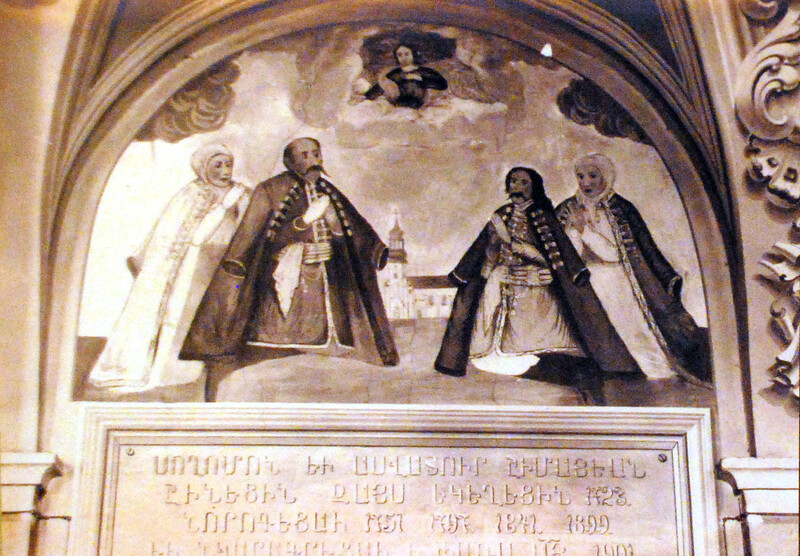 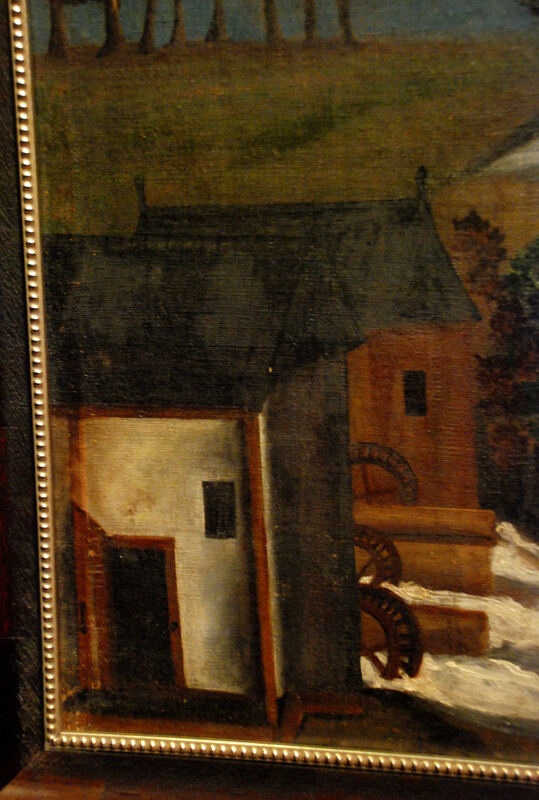 The three portraits brought from Szamosújvár/Gherla do not necessarily represent the three greatest personalities of the Armenian church, they could have also chosen someone else, such as Bishop Minas Zilifdarean (1610-1686), under whose leadership the Armenians migrate into Transylvania. 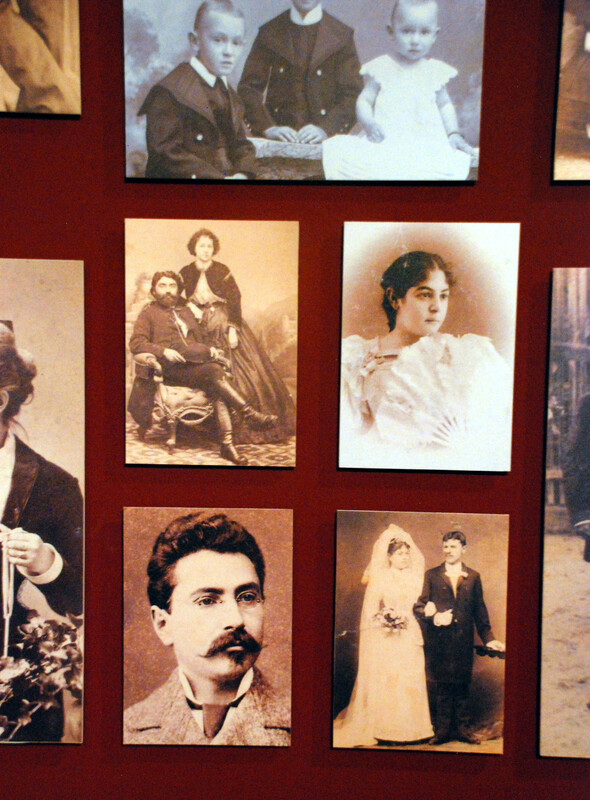 These three lives, however, well demonstrate the large social and geographical scope of the Armenian intellectuals, and their possibilities of choice between different cultural centers. 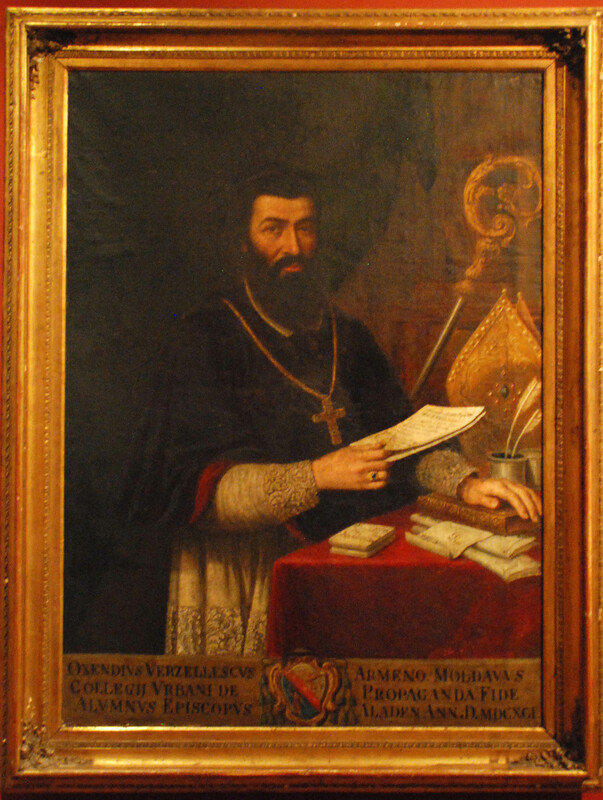 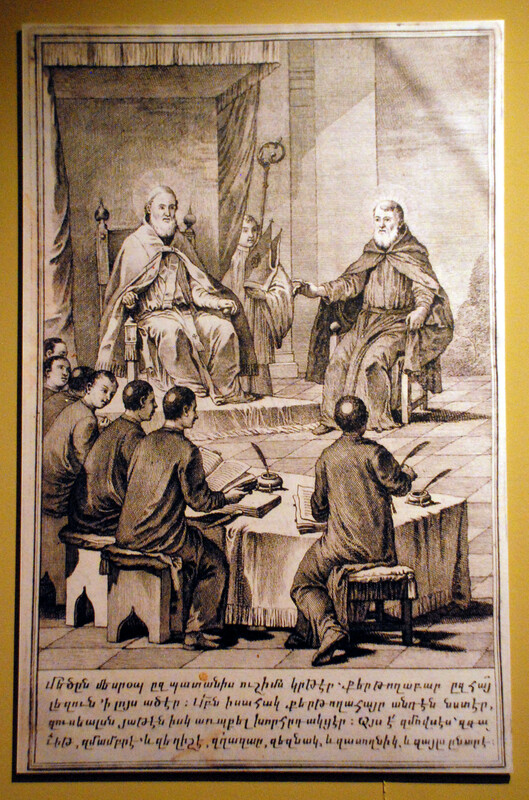 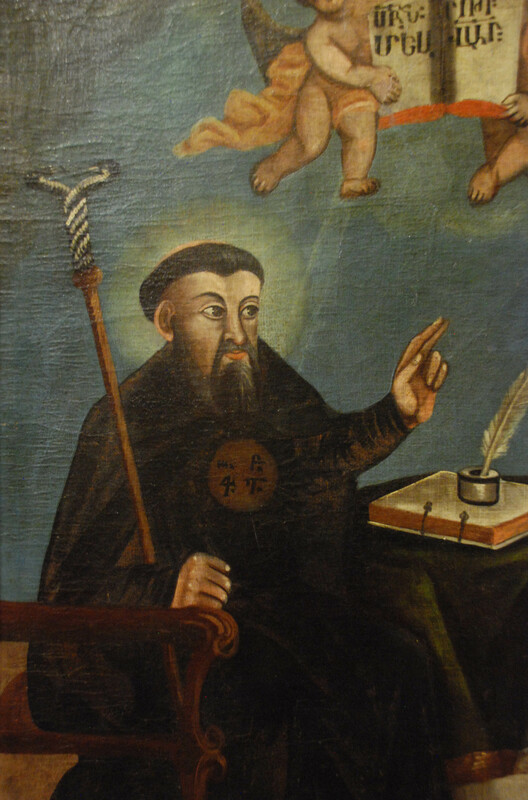 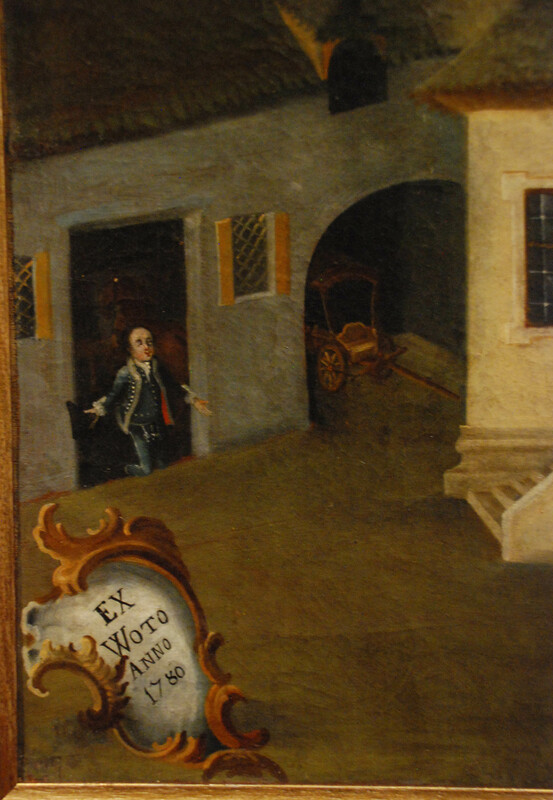 The Moldova-born Oxendio Virziresco (Verzár) (1655-1715) learned in the Propaganda Fide missionary college in Rome. 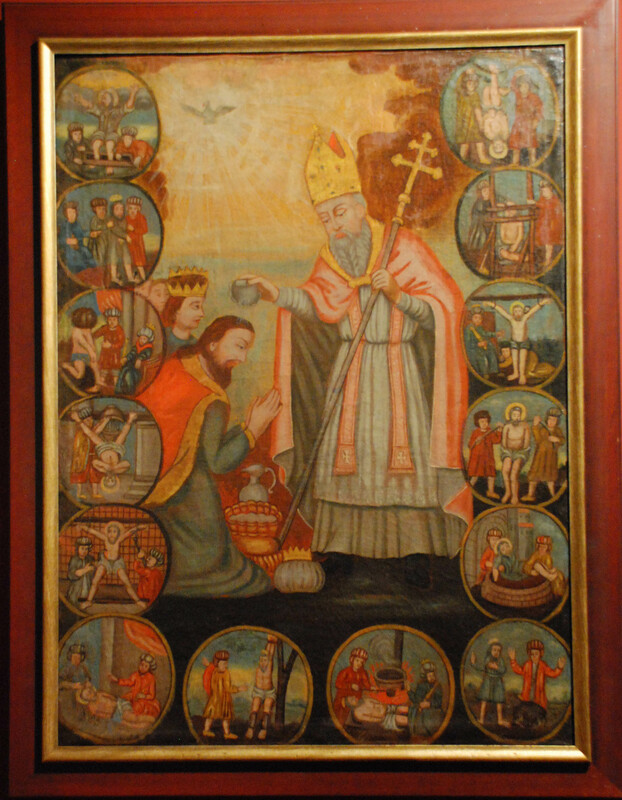 After 1685 he worked on the union of the Transylvanian Armenians with the Catholic church, first in the midst of great resistance, but in the end with a complete success, and in 1690, after the end of Bishop Minas he became the church leader of the Armenians in Transylvania. 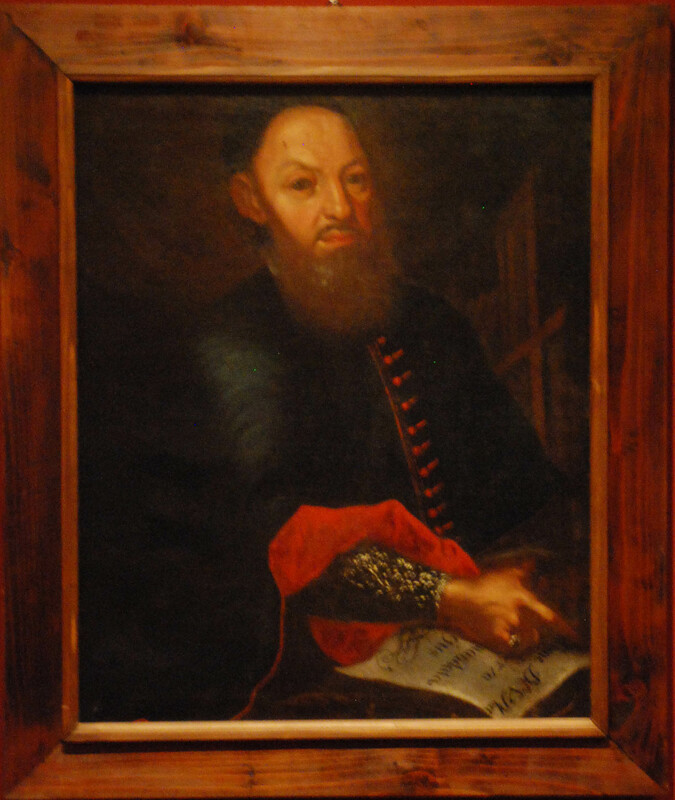 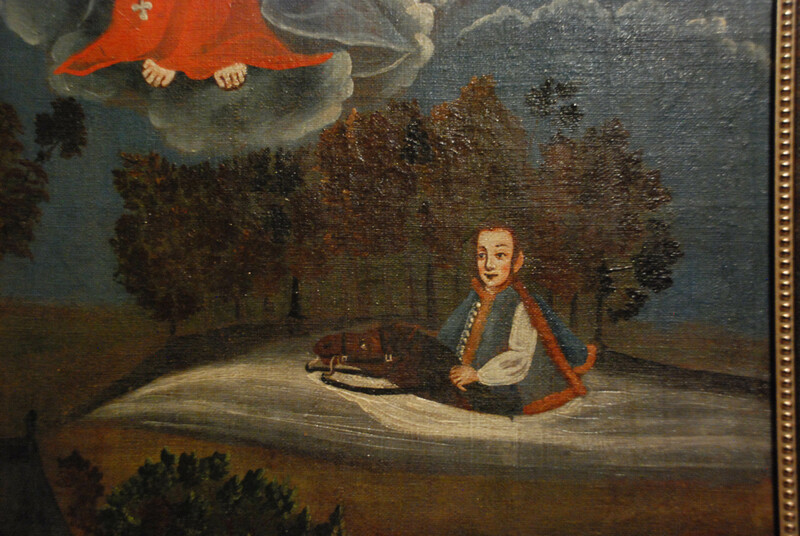 Stephano Roska (1670-1739) came from an Armenian family of Kamenets-Podolsk. 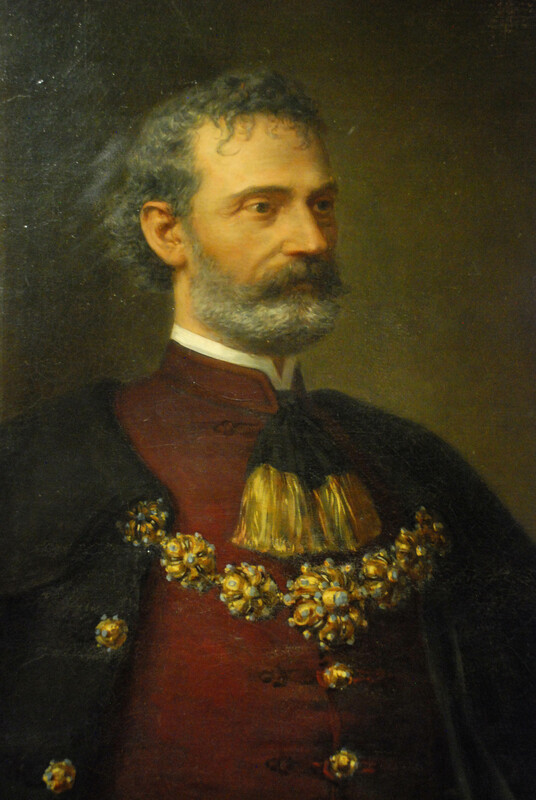 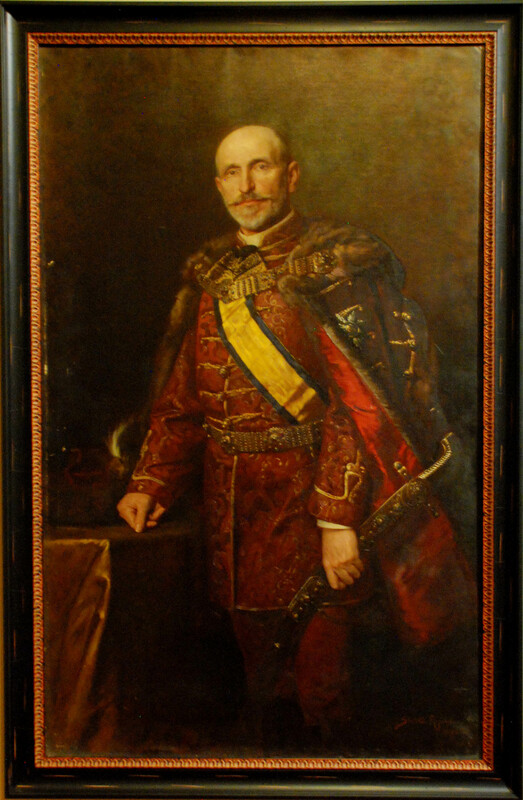 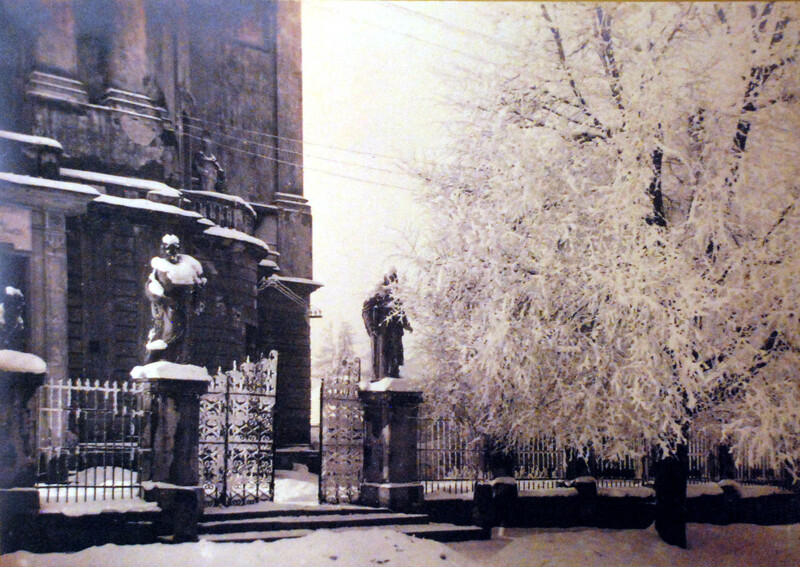 He was the Armenian provost of Stanislawów (now Ivano-Frankivsk), and on behalf of the Armenian archbishop of Lemberg he visited the four Transylvanian Armenian parishes, founding a number of important religious societies. 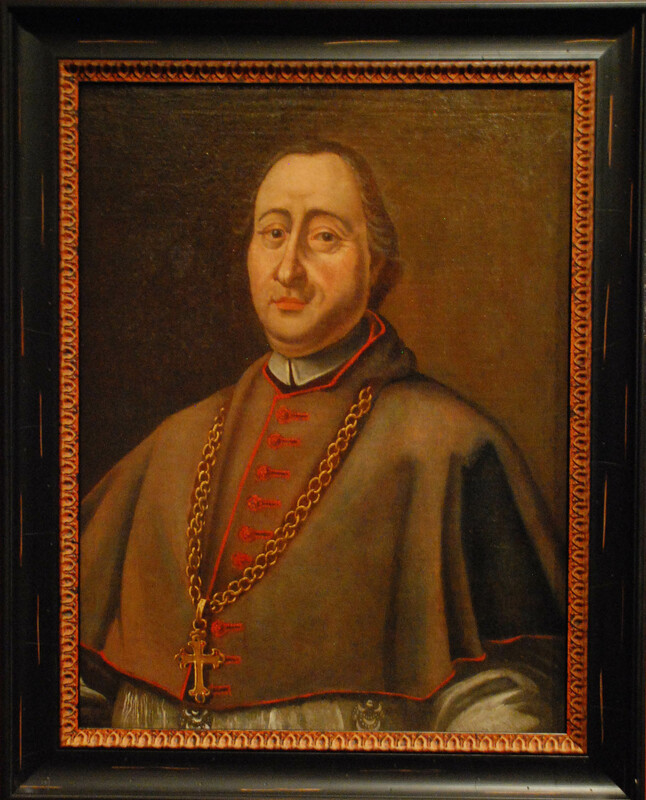 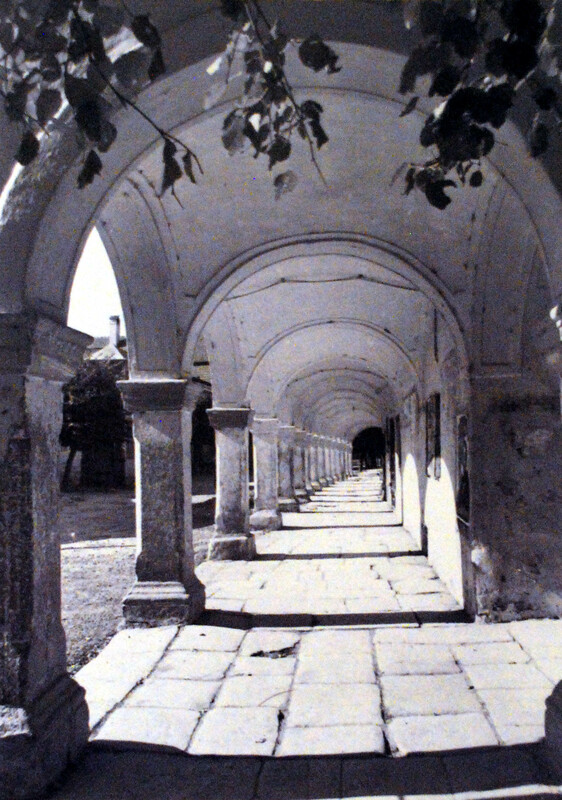 Mihály Theodorovicz (1690-1760) was born in Bistritz/Beszterce/Bistrița, at that time an important Armenian settlement, and he became from a shop assistant the Archdeacon of Szamosújvár. 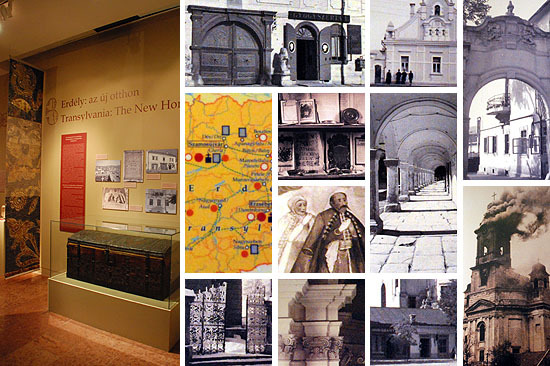 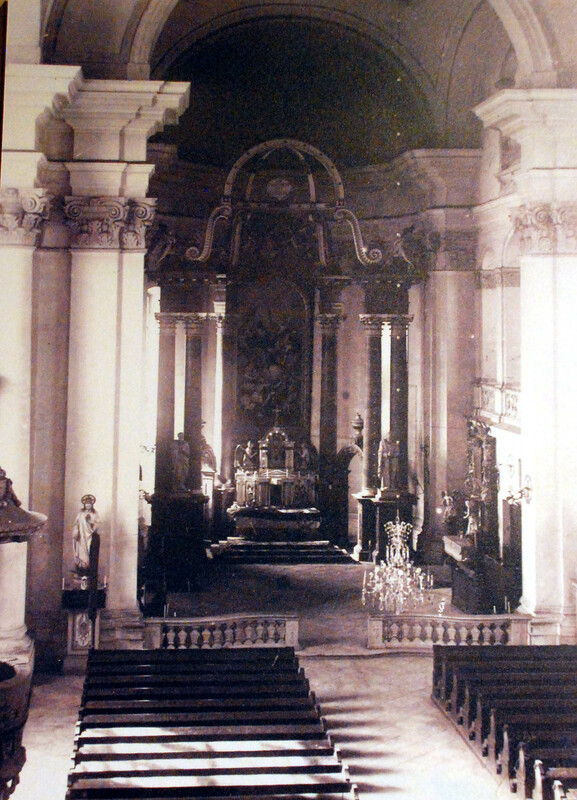 He built the first Armenian stone church, the Salamon church (1723-25), and he introduced the Gregorian calendar. 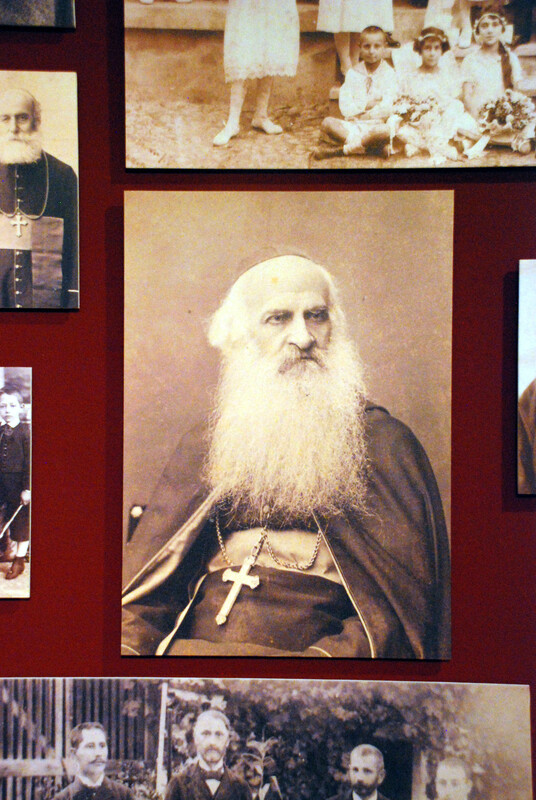 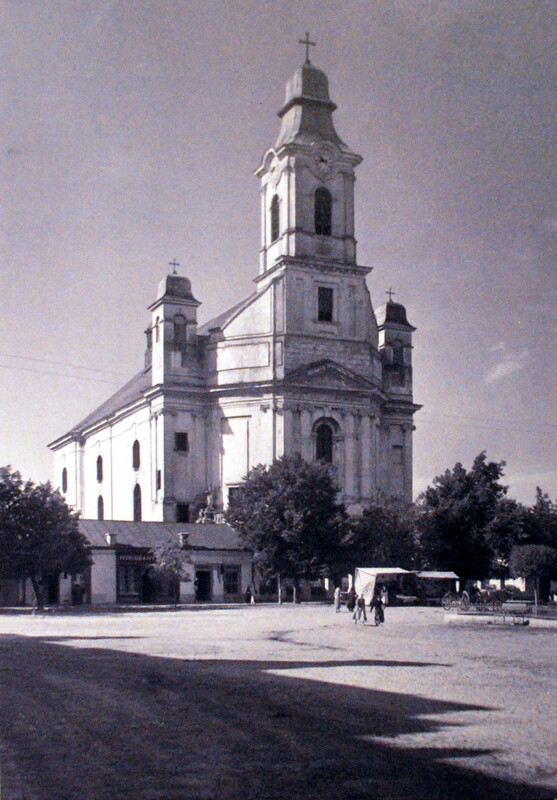 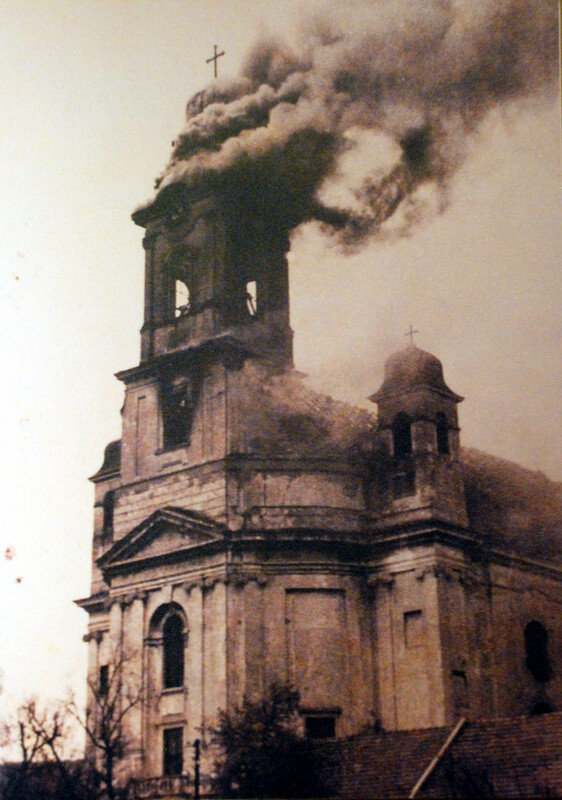 Maria Theresa appointed him bishop, but eventually it did not receive an ecclesiastical approval: it is since then that the Transylvanian Armenian community has belonged under the Roman Catholic bishop of Gyulafehérvár/Alba Iulia. 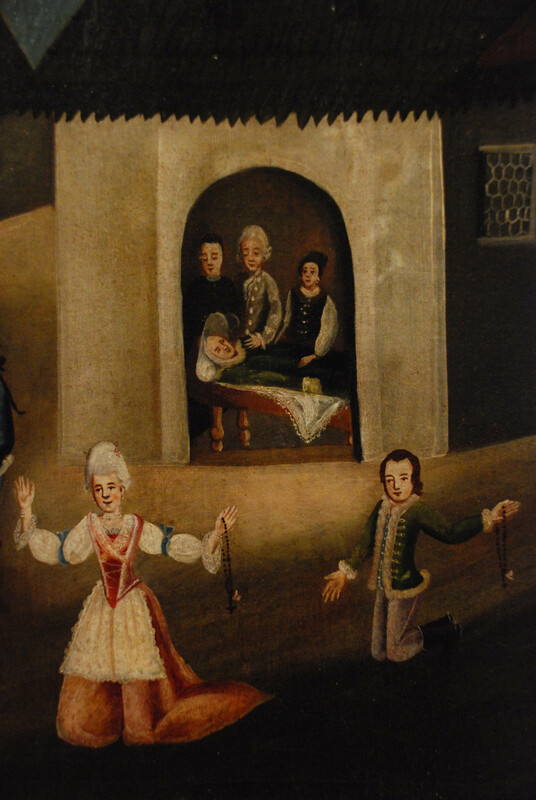 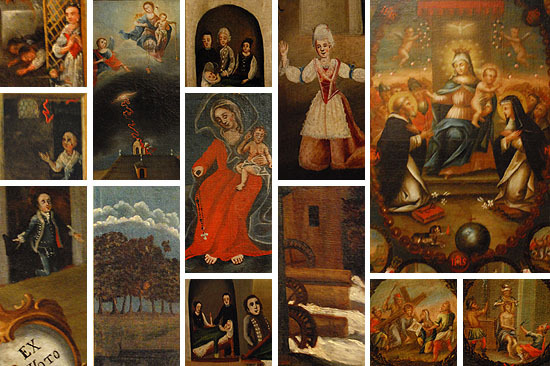 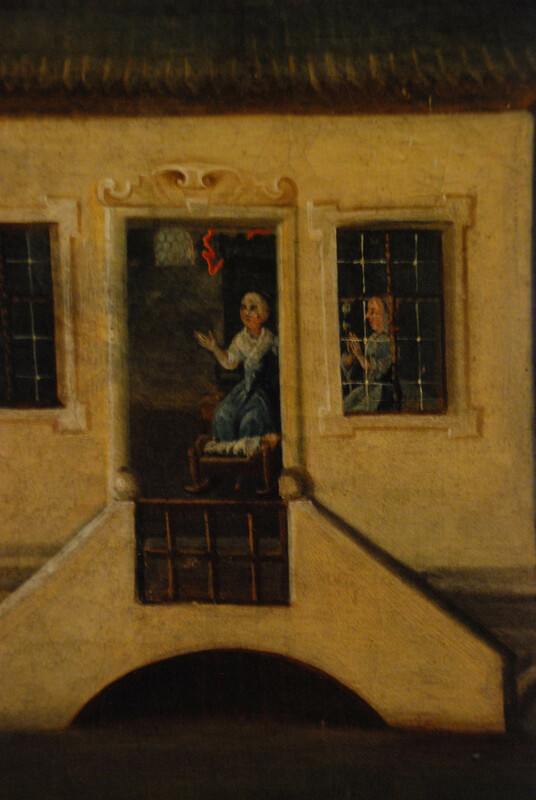 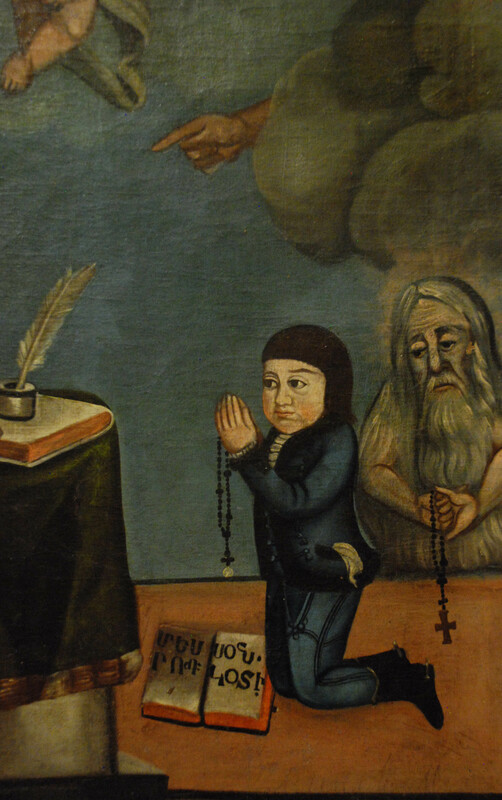 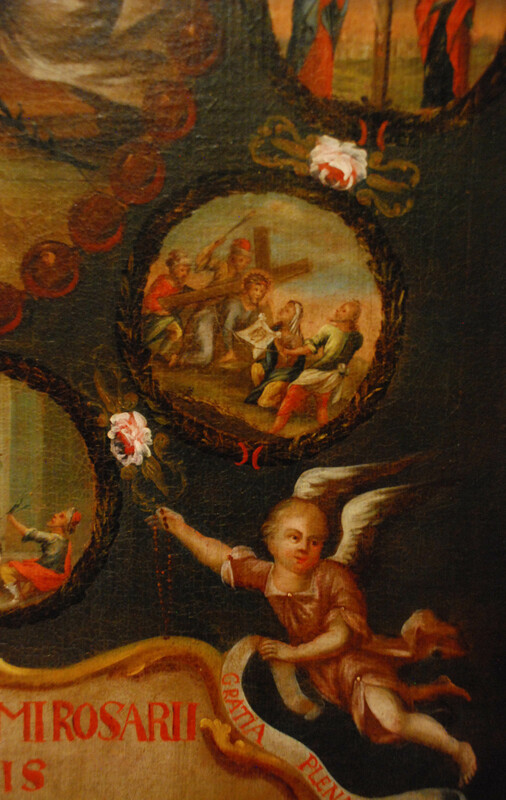 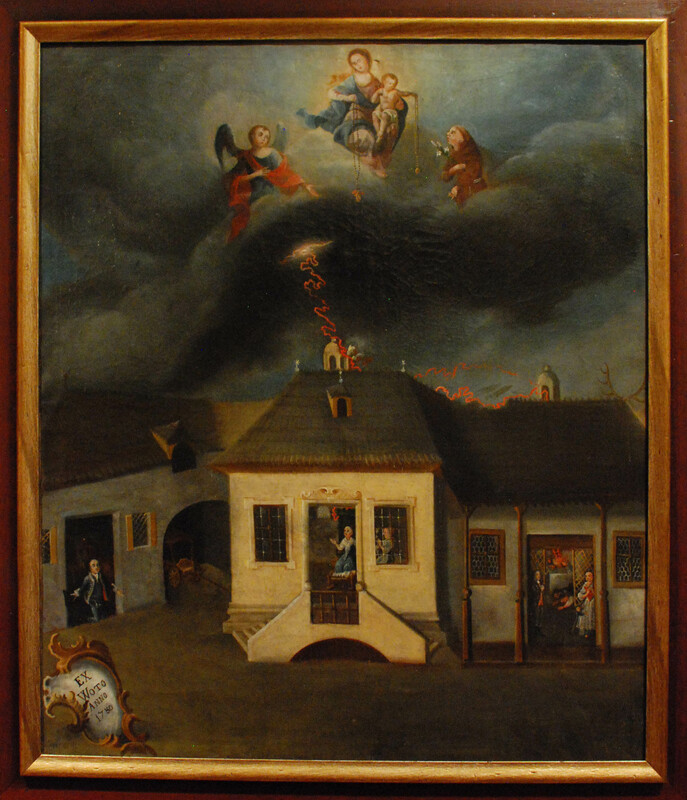 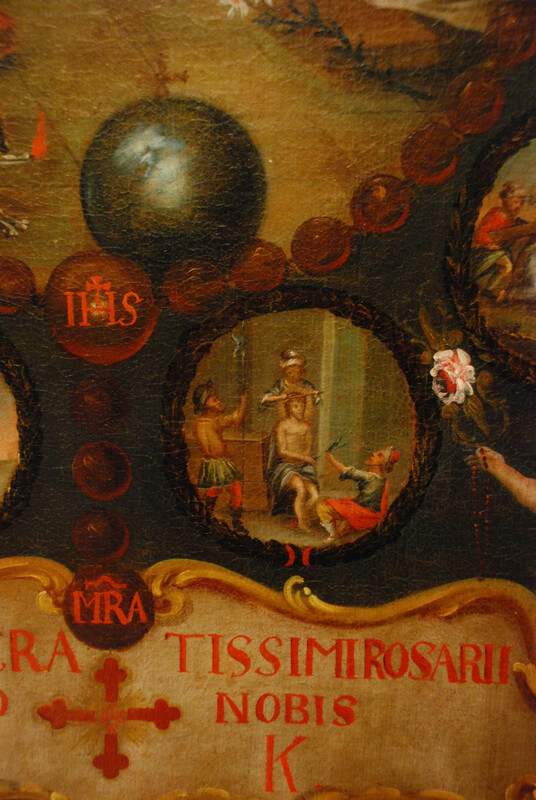 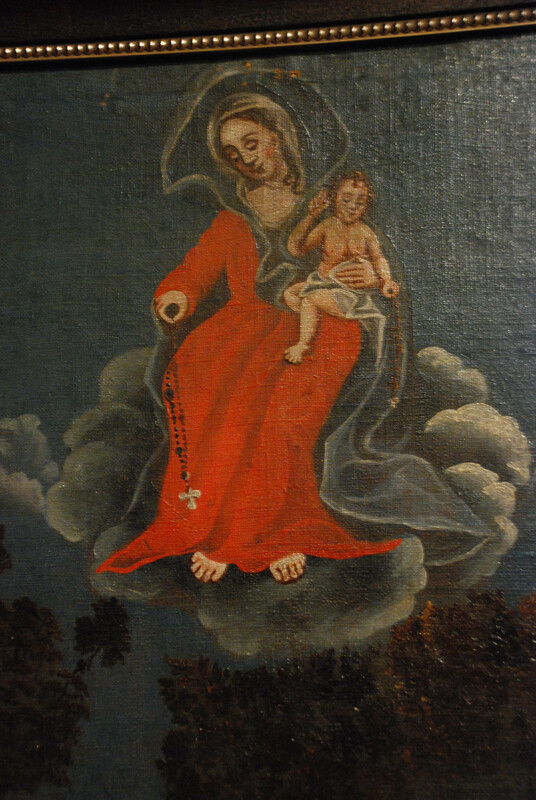 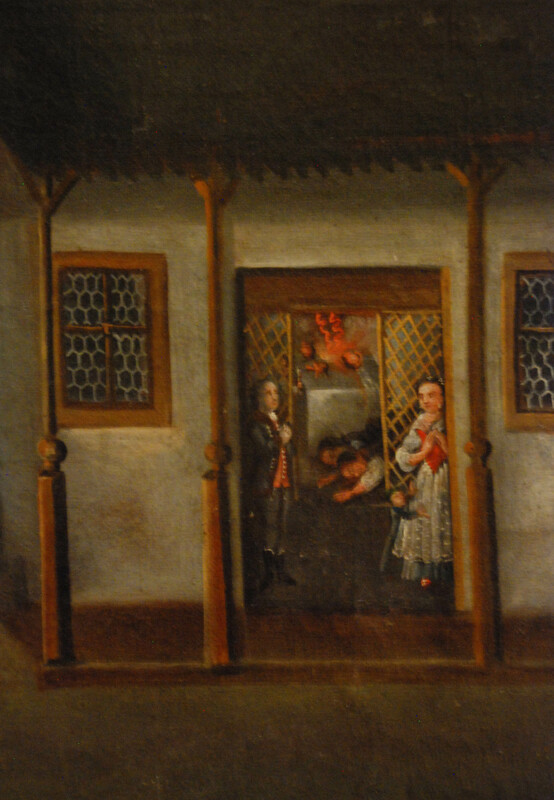 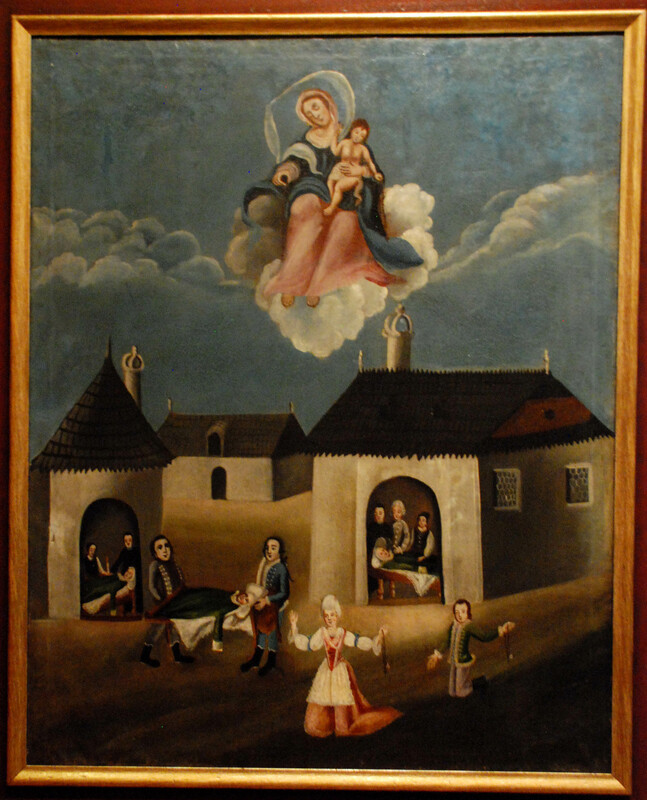 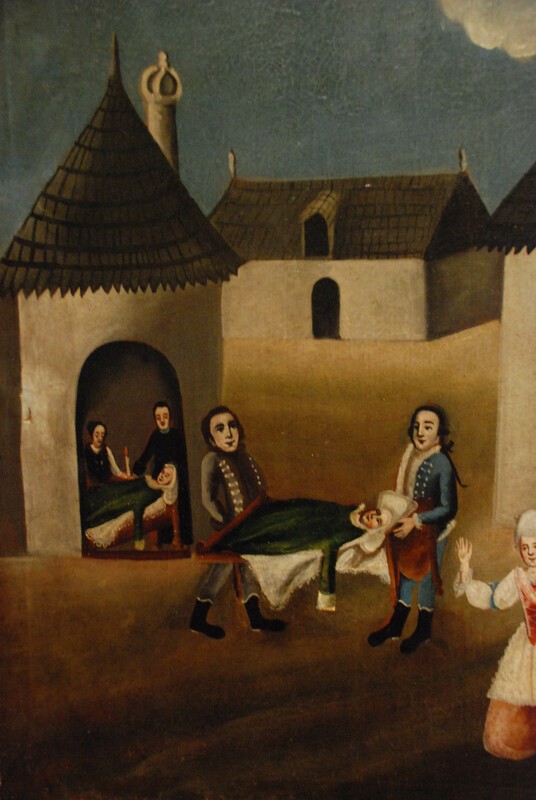 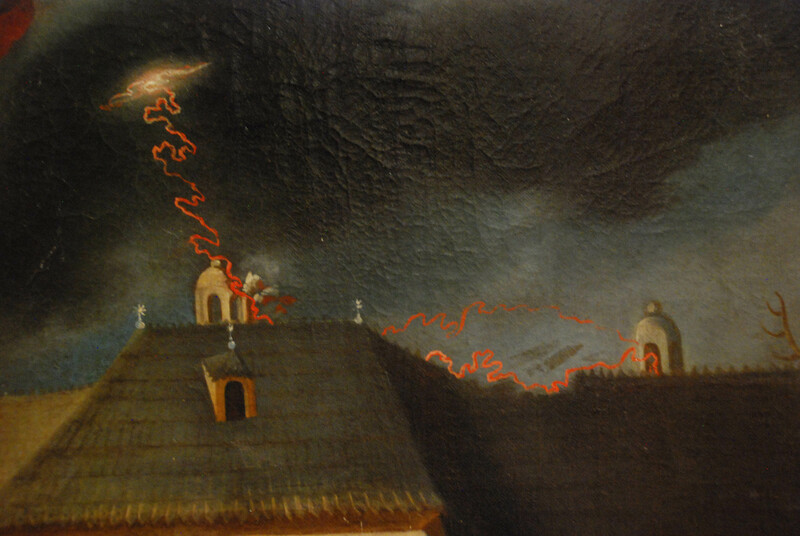 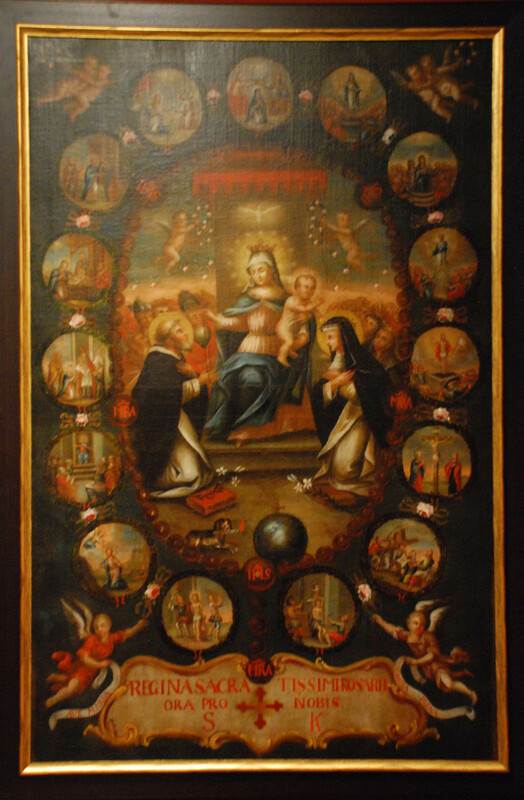 Since the 1770s the cult of the Queen of the Rosary was in flower in Szamosújvár, and her auspices were represented in a number of votive paintings offered as a sign of gratitude for being saved for some great trouble. 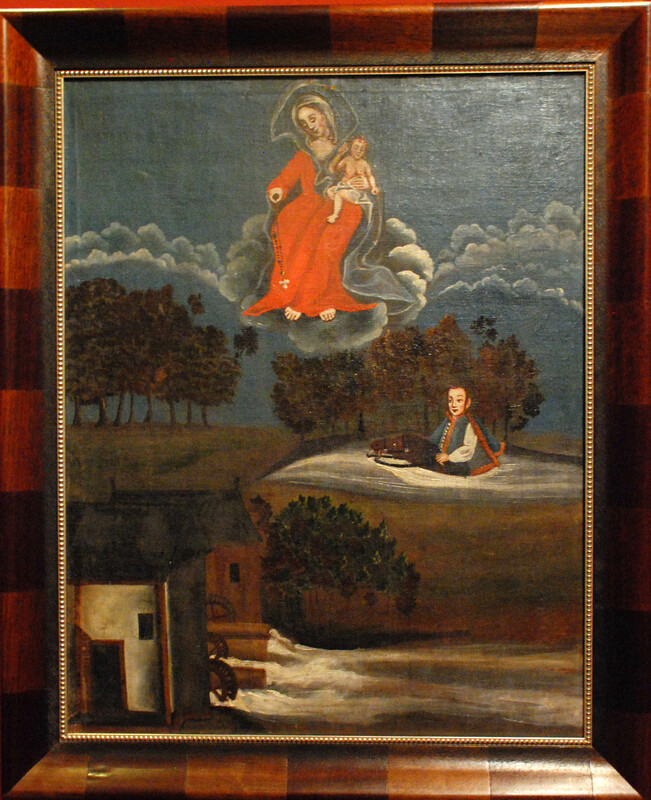 On the images exhibited here, a horseman who escaped a flooding, a family surviving a fire, and a woman recovering from illness say thanks for the intercession of the Virgin Mary. 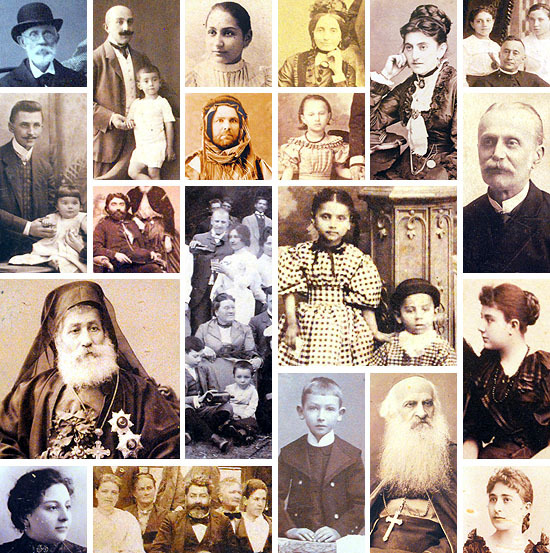 By the early 19th century the relations of the Armenians with their former Crimean and Anatolian centers became loose, but the way of ascension into the Hungarian bourgeoisie was open to us. 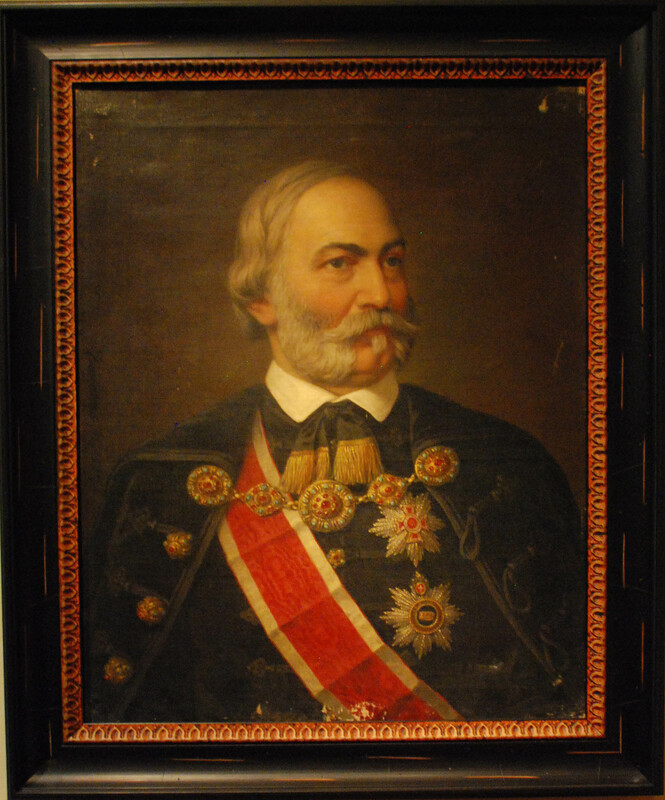 They changed their language for Hungarian, and among all the ethnic minorities they participated in the largest proportion in the staff of officers and in the financing of the 1848-49 War of Independence. 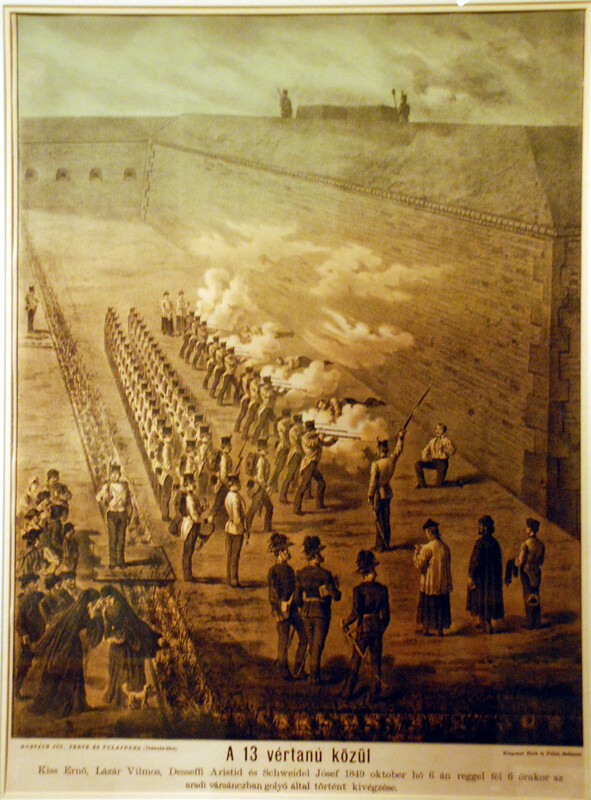 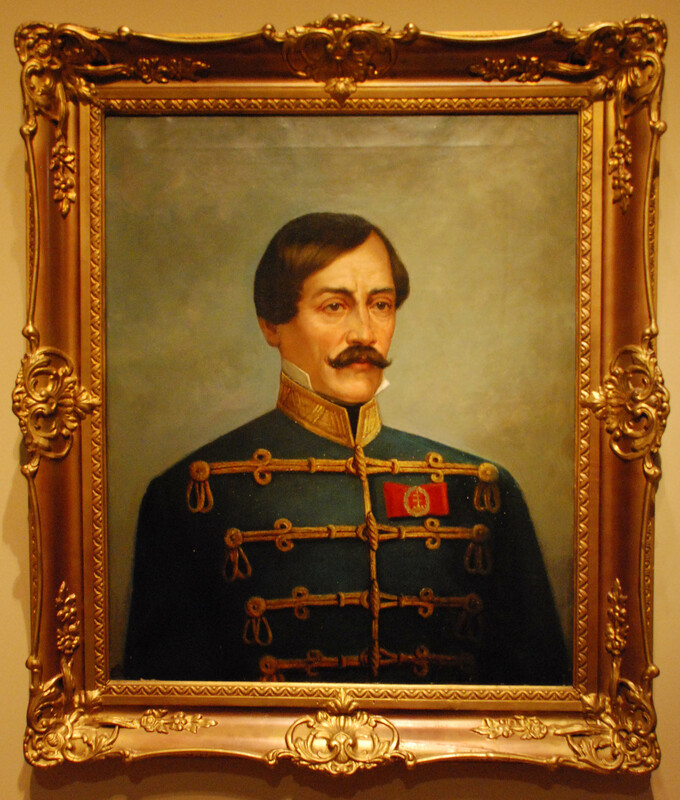 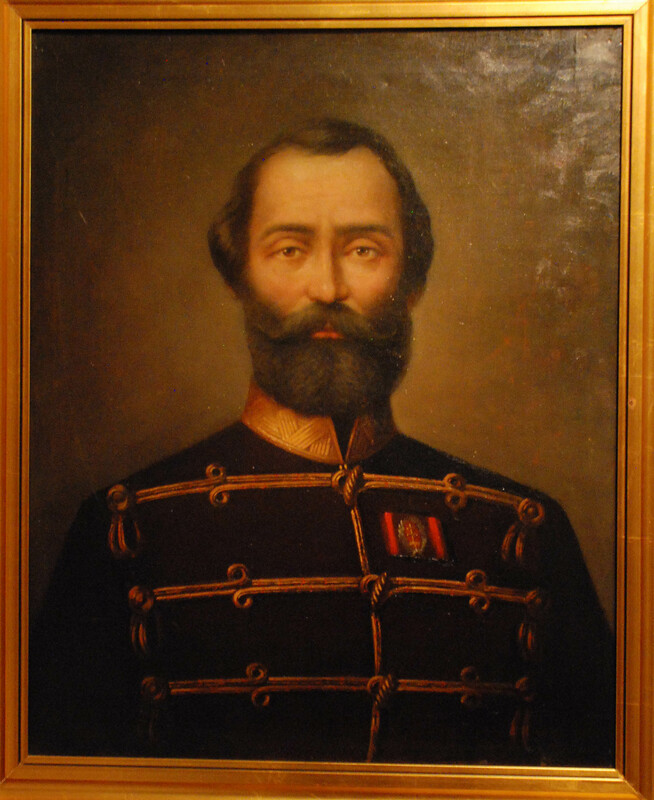 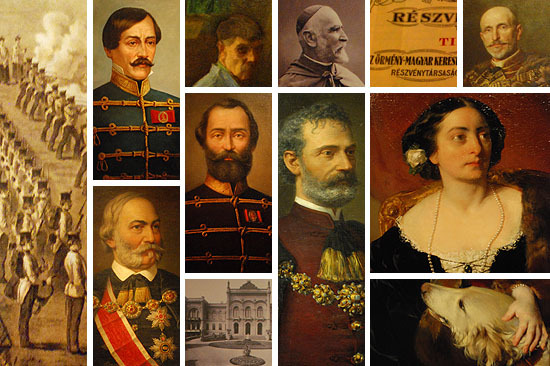 Two of the famous thirteen generals, executed in Arad on 6 October 1849, Ernő Kiss and Vilmos Lázár were Armenians, and the Armenian general János Czetz in exile became the founder of Argentina’s military geographical institute, which under his direction charted all Argentina. 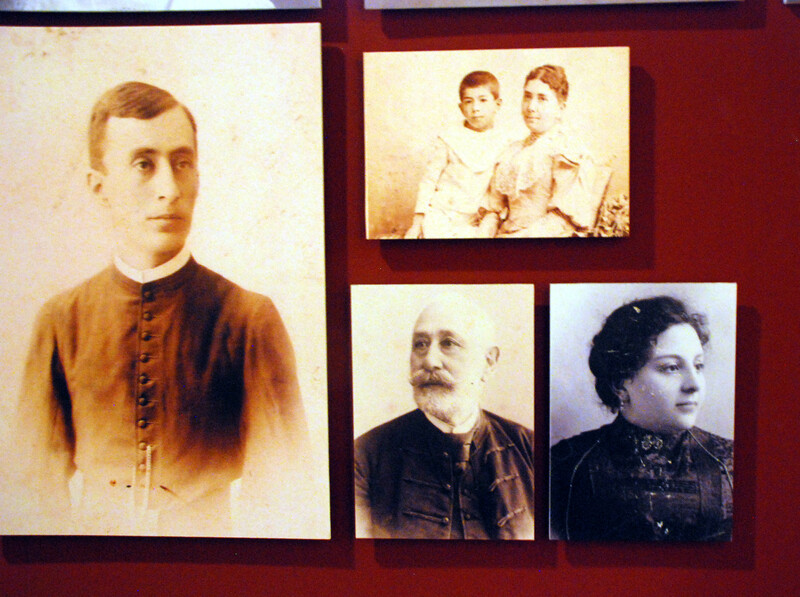 After the Compromise between the Austrian court and the Hungarian political elite in 1867, the Armenians participated in large numbers in the political and cultural life. 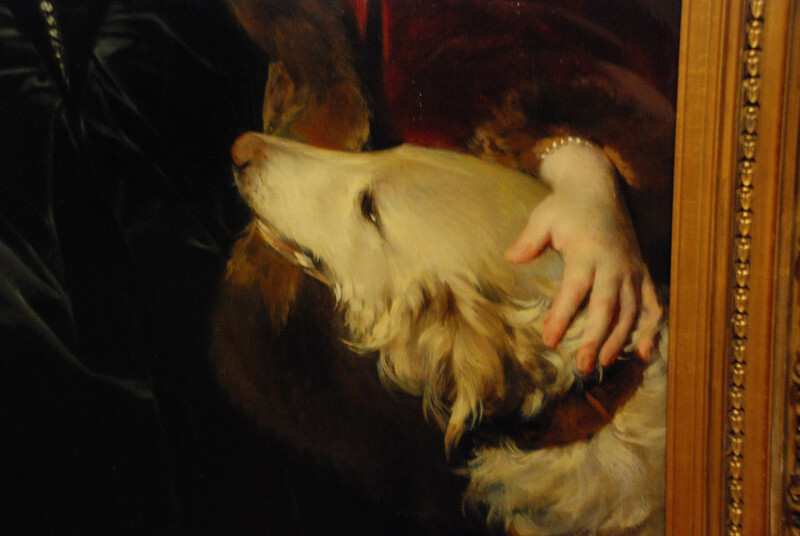 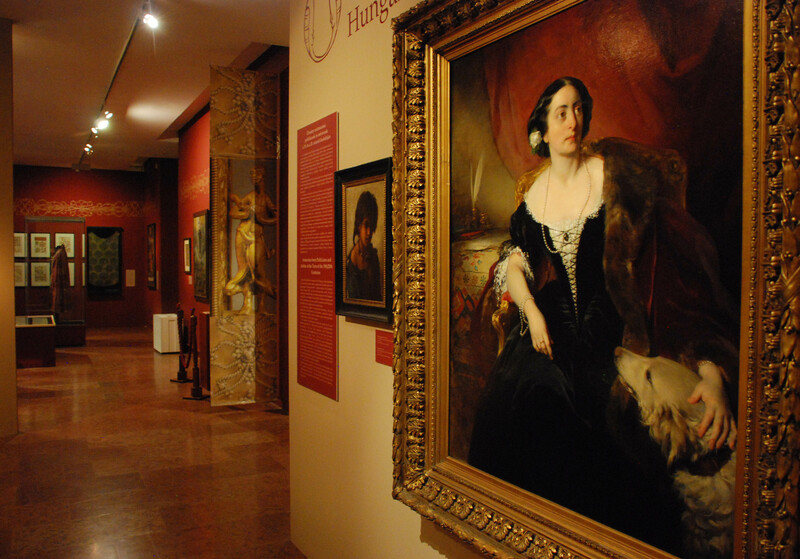 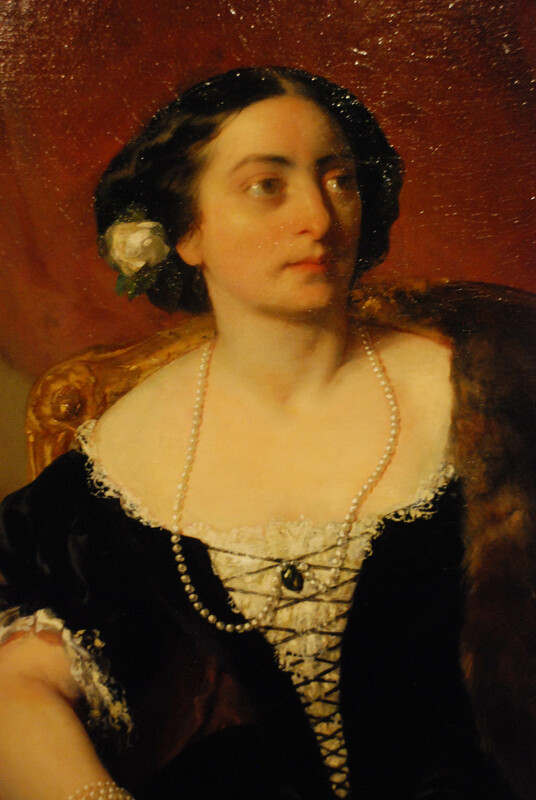 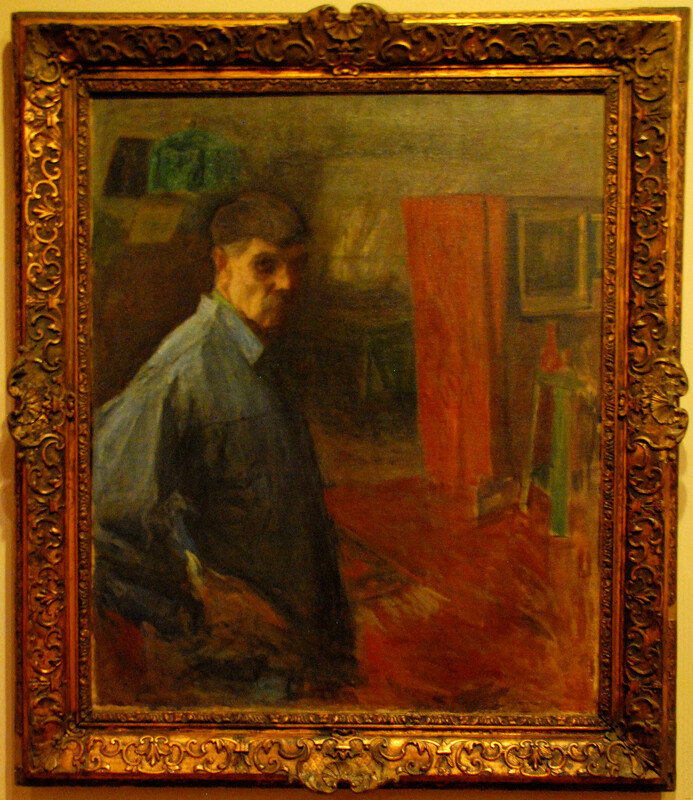 The last room is a portrait gallery of their prominent representatives. 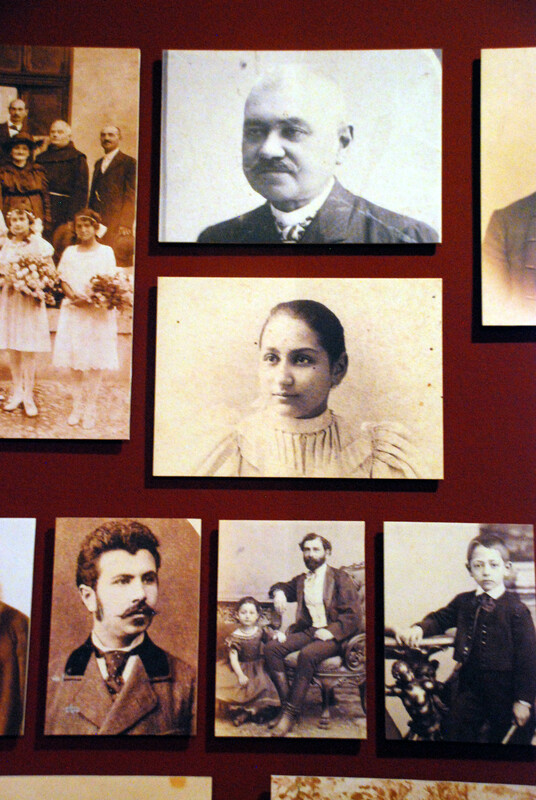 On the other hand, as a compensation for the assimilation, the ideology of Armenism was born, with the goal of strengthening the Armenian identity. 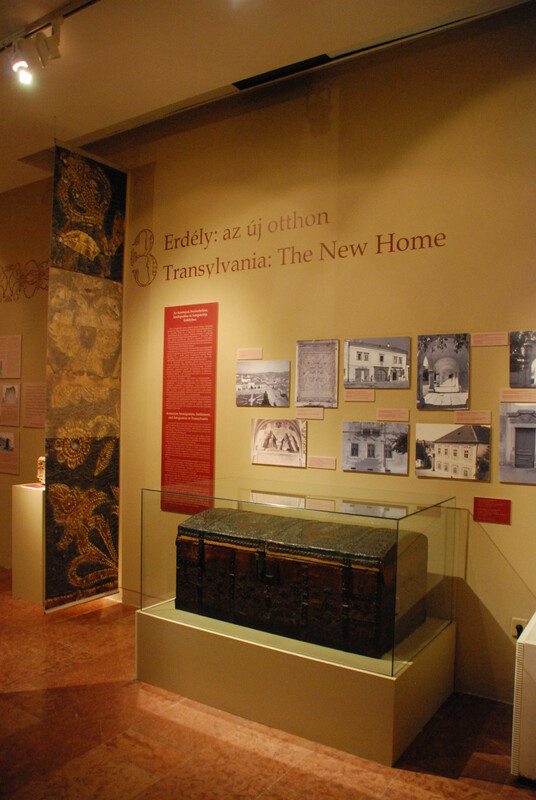 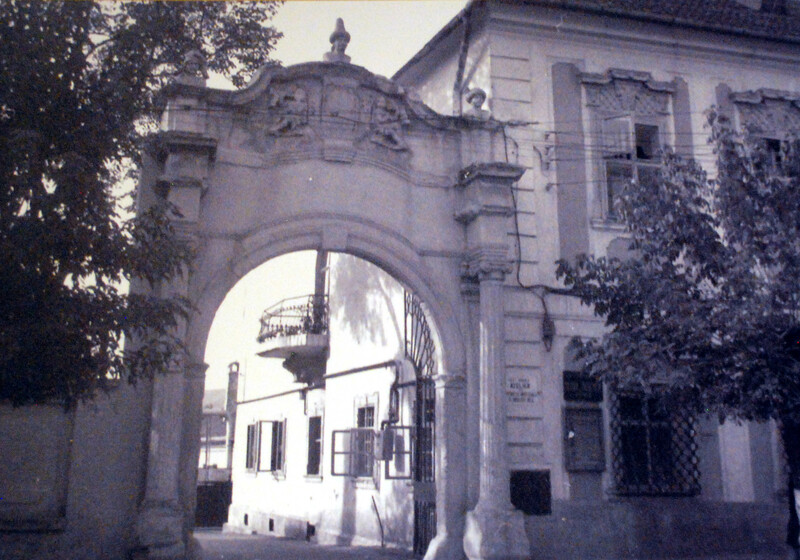 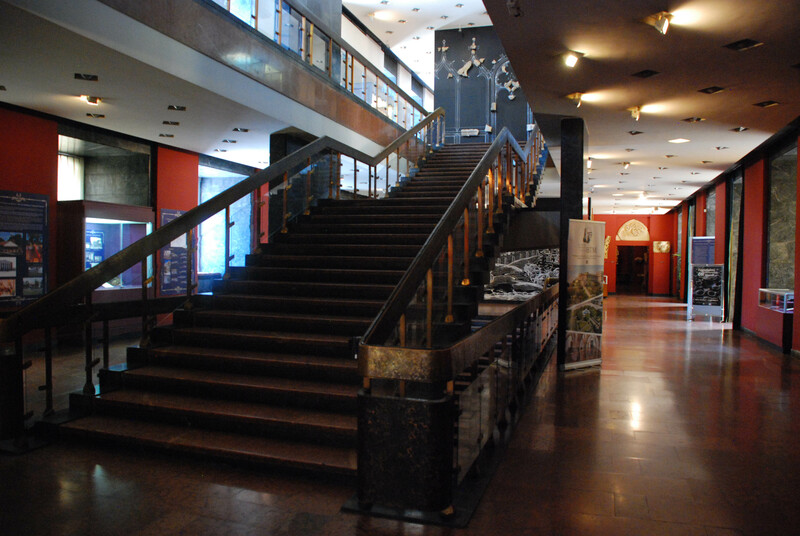 Its followers started large-scale historical research of Transylvanian Armenians, they launched the journal Armenia in Szamosújvár, and in 1905 they founded in the city the Armenian Museum (which just now, in March 2013 received back its collection, nationalized in the 1950s). 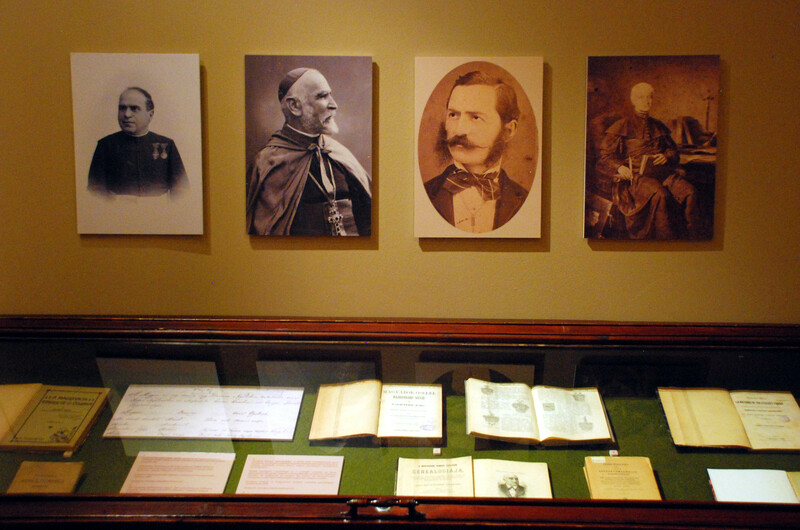 Eminent representatives of Armenism, Kristóf Lukácsy and Kristóf Szongott also joined the research of Hungarian prehistory, defending in several publications the Hungarian-Armenian linguistic relationship. 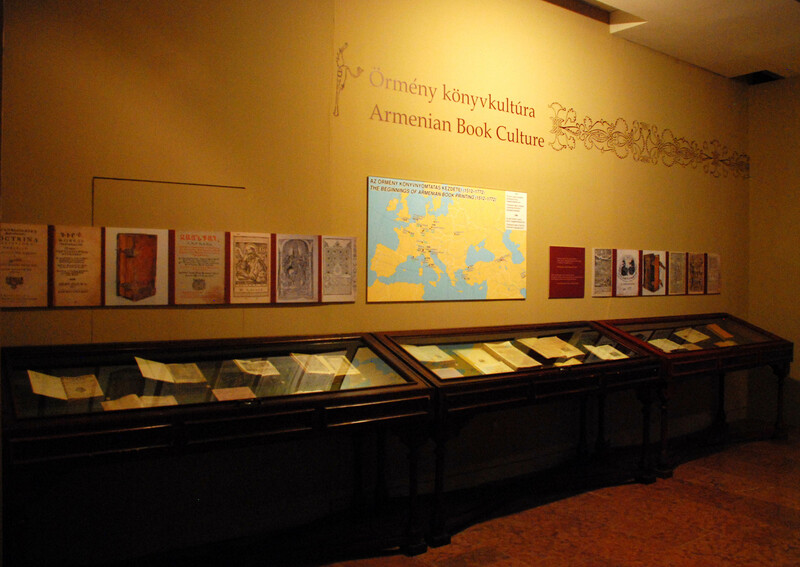 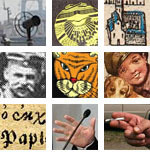 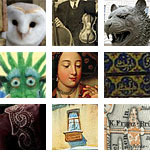 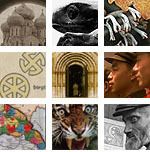 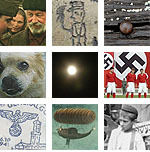 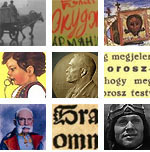 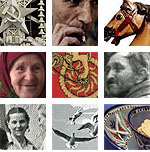 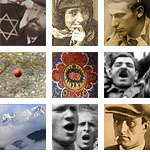 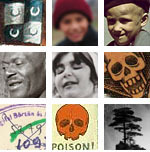 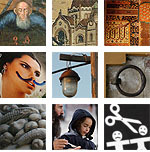 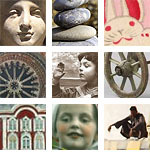 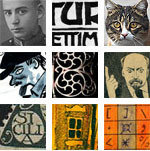 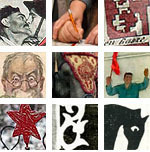 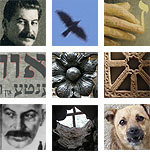 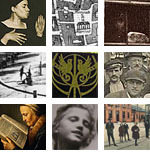 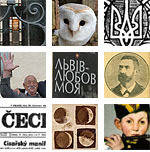 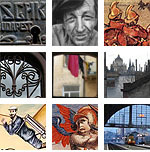 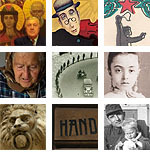 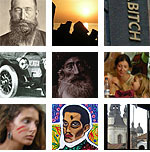 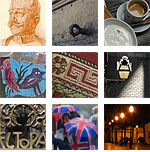 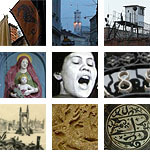 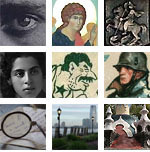 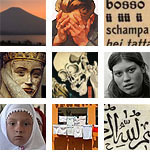 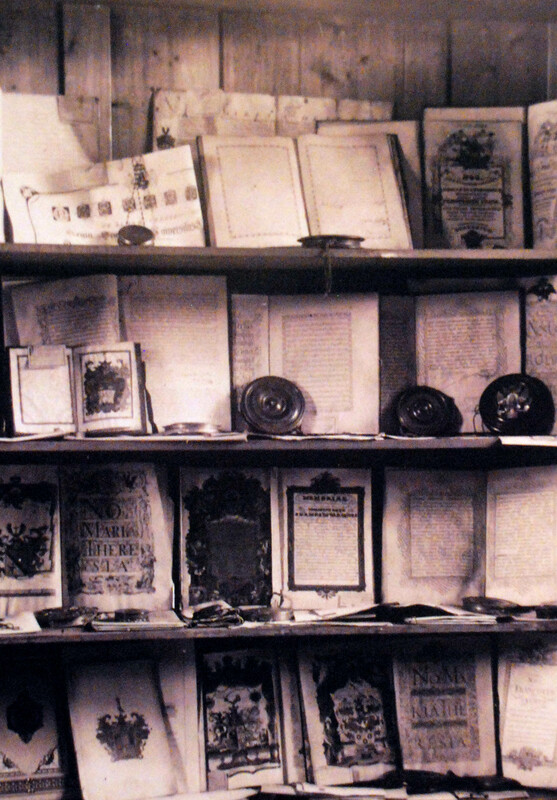 The show-case of the last room presents a selection of publications on Armenian topics from the 19th and 20th century. 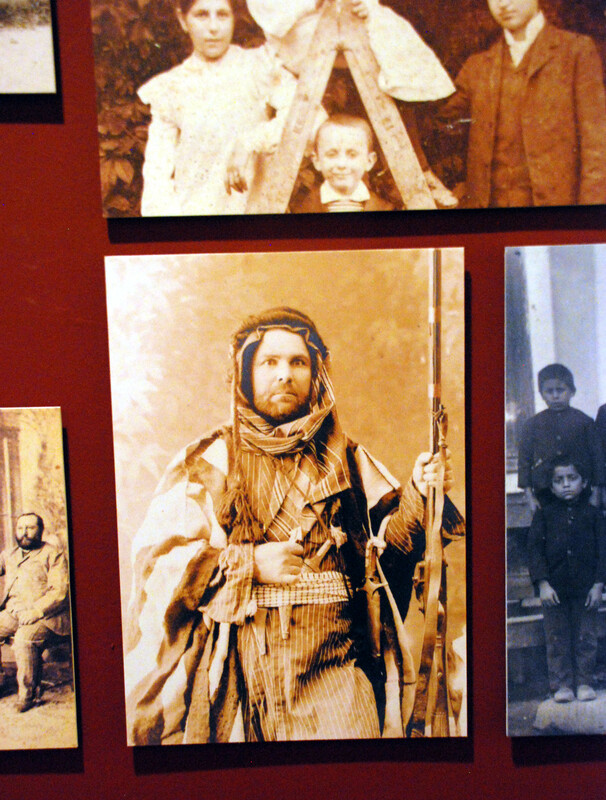 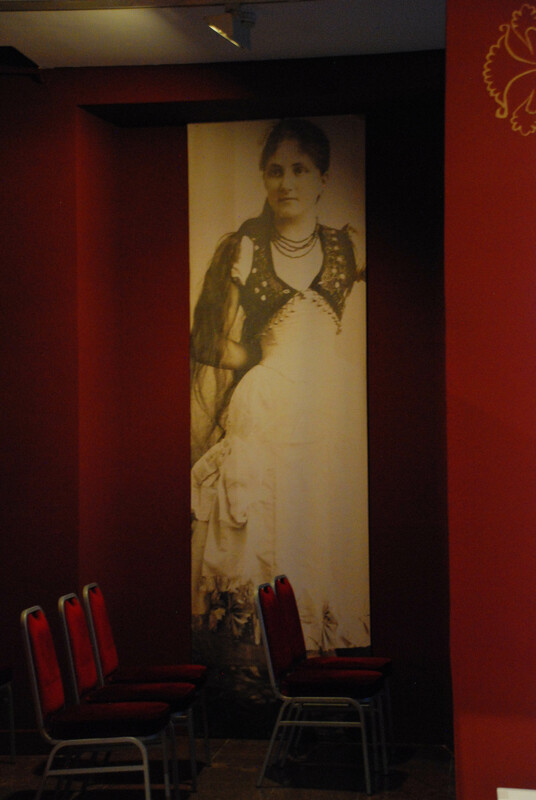 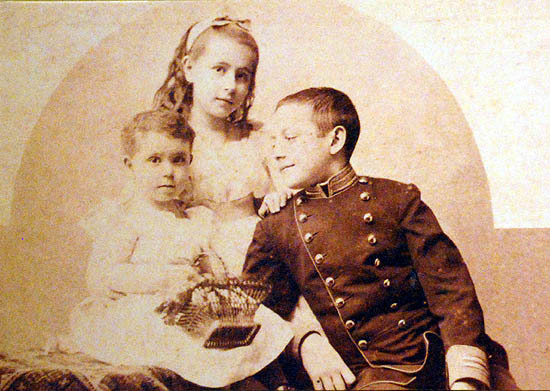 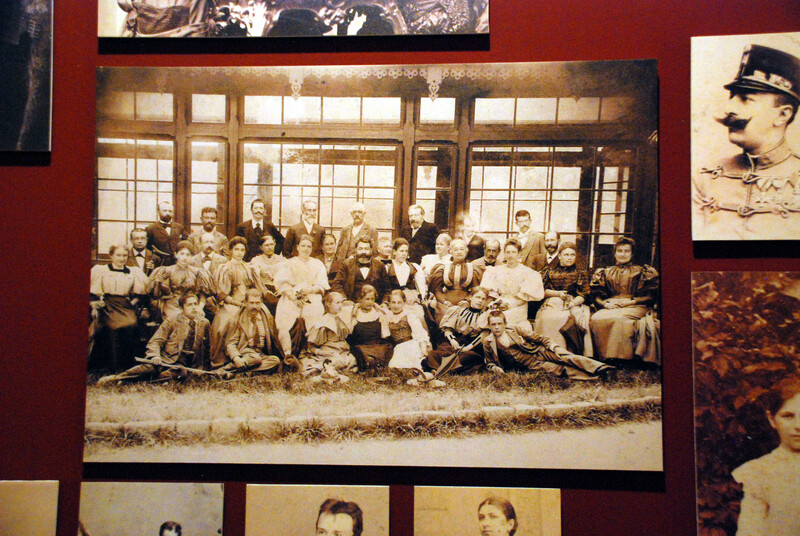 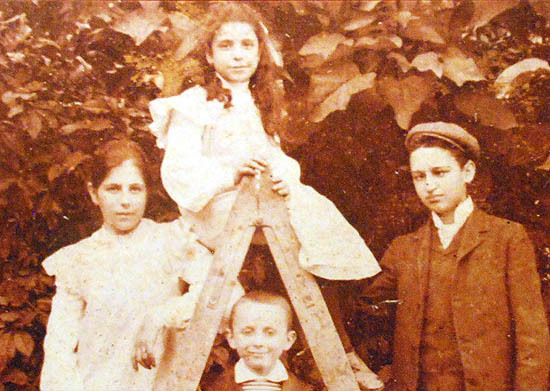 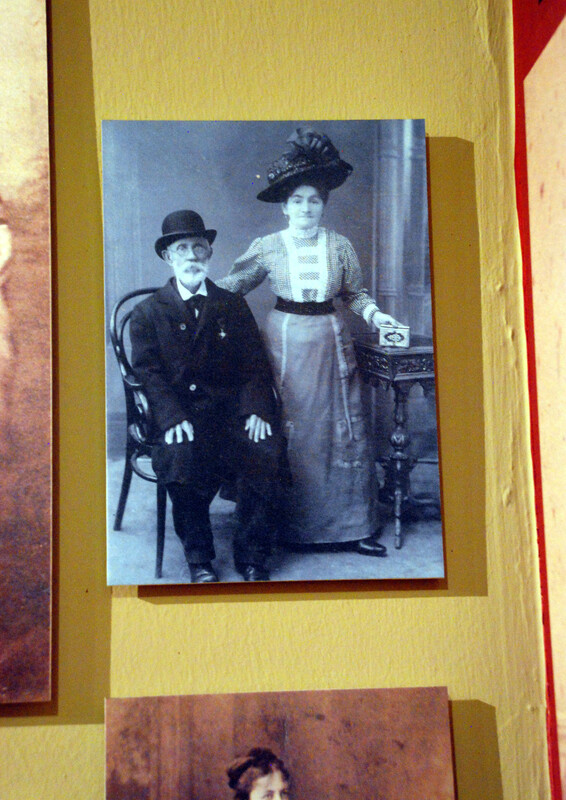 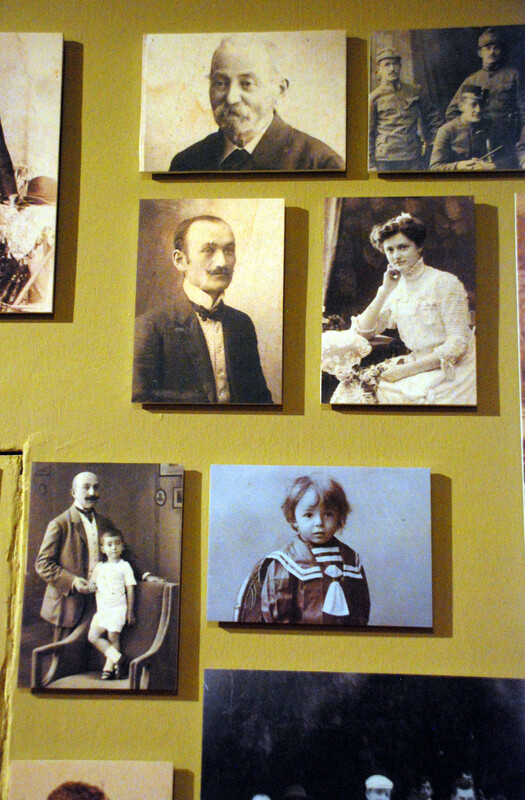 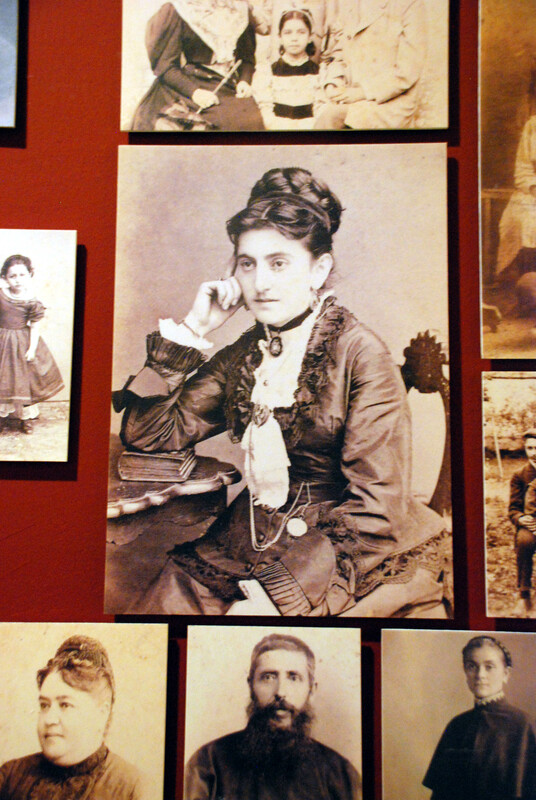 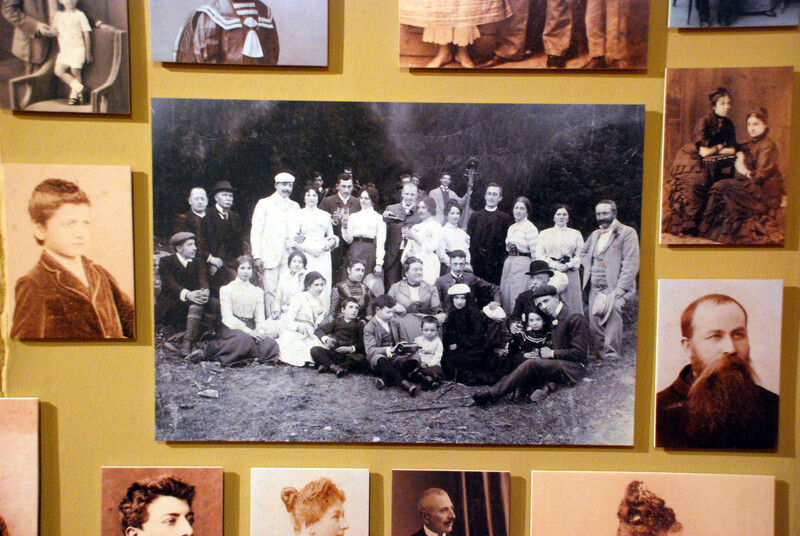 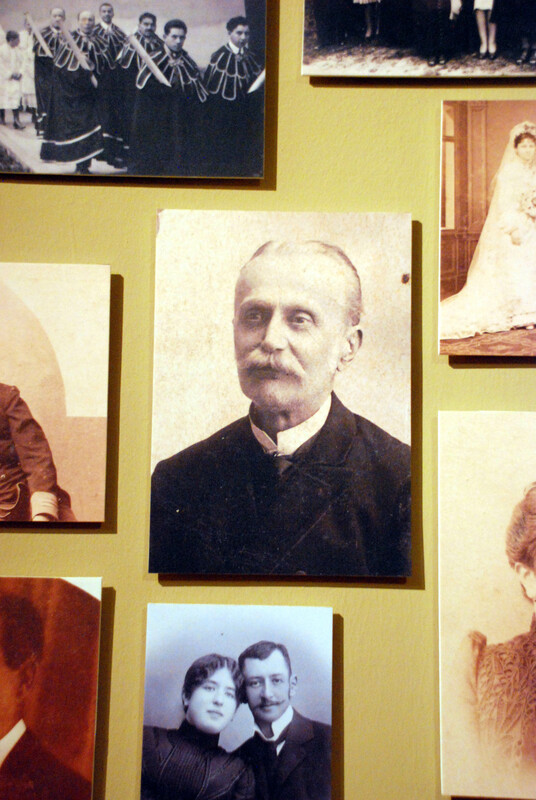 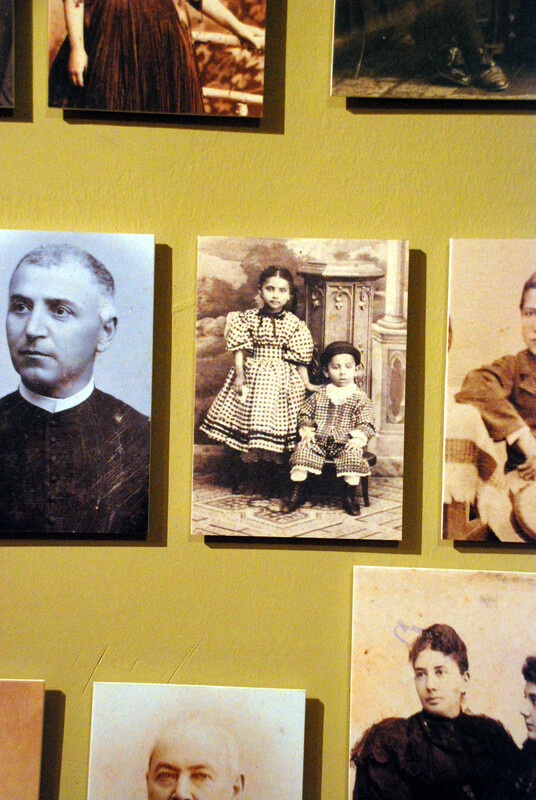 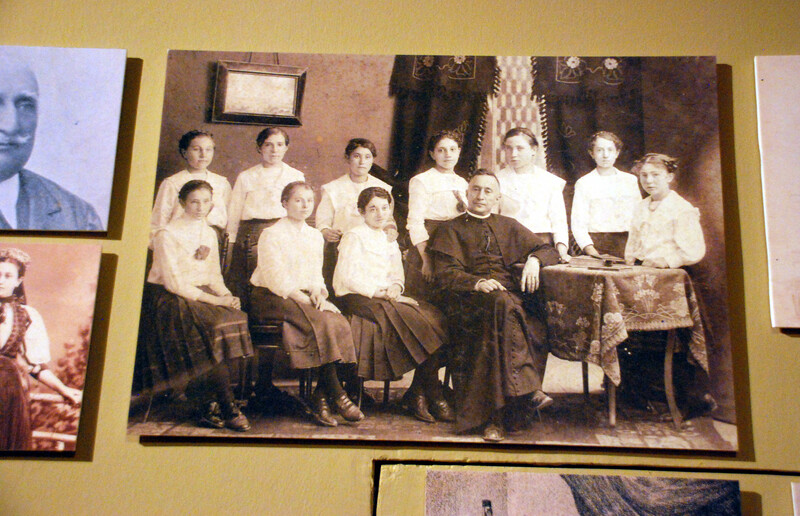 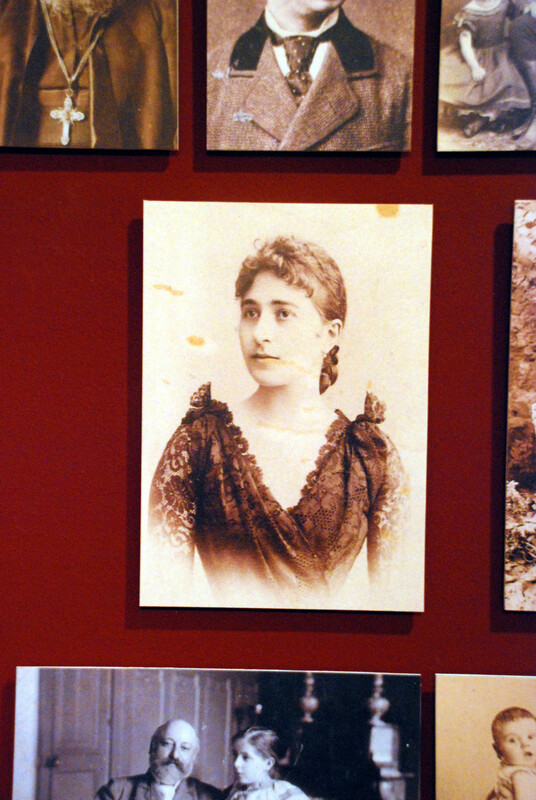 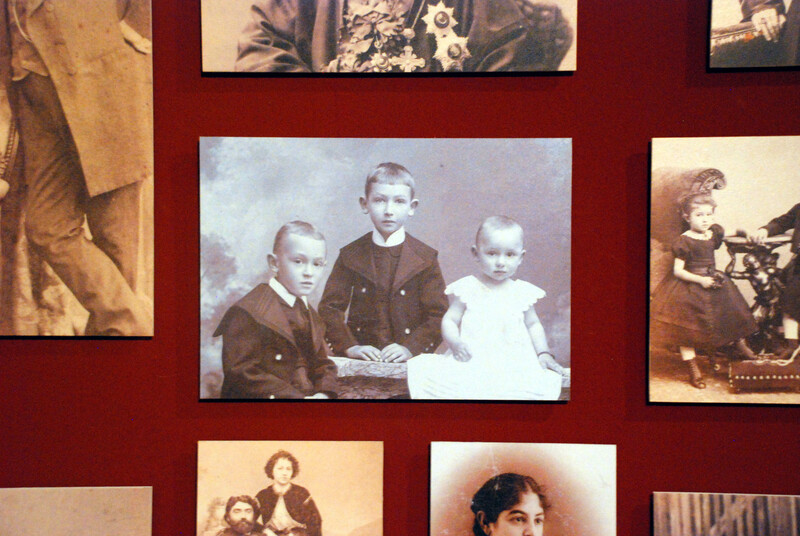 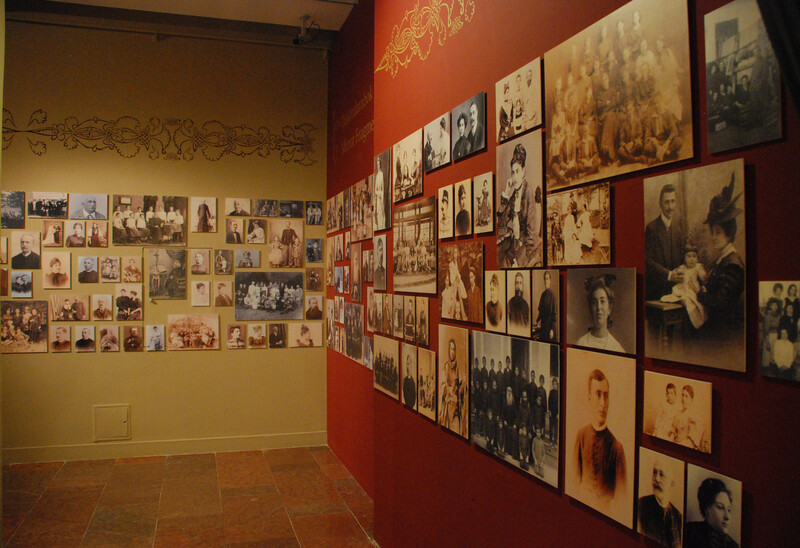 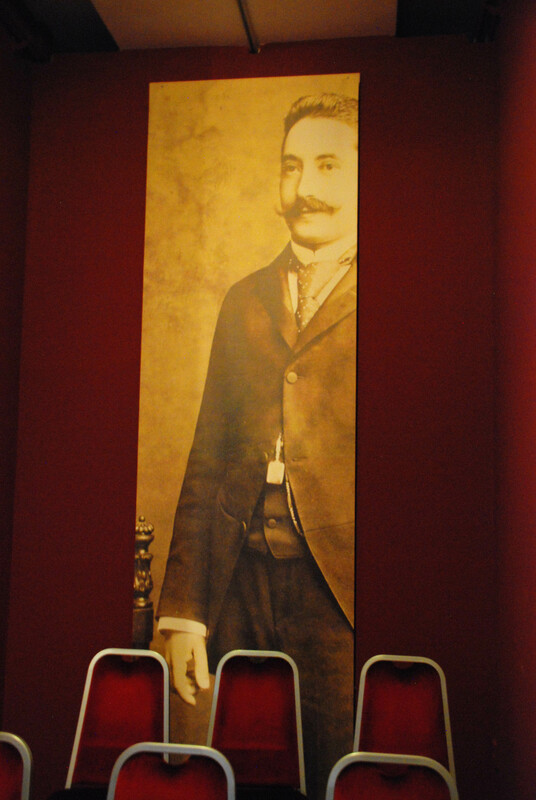 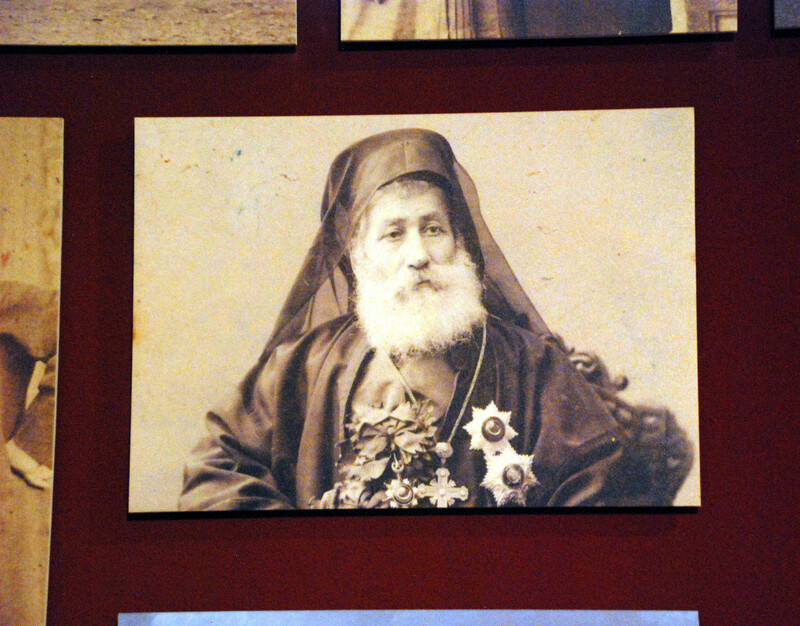 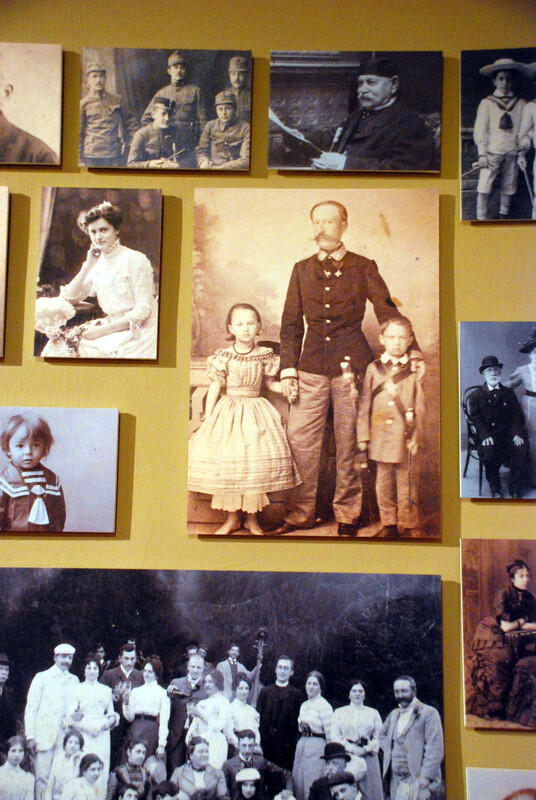 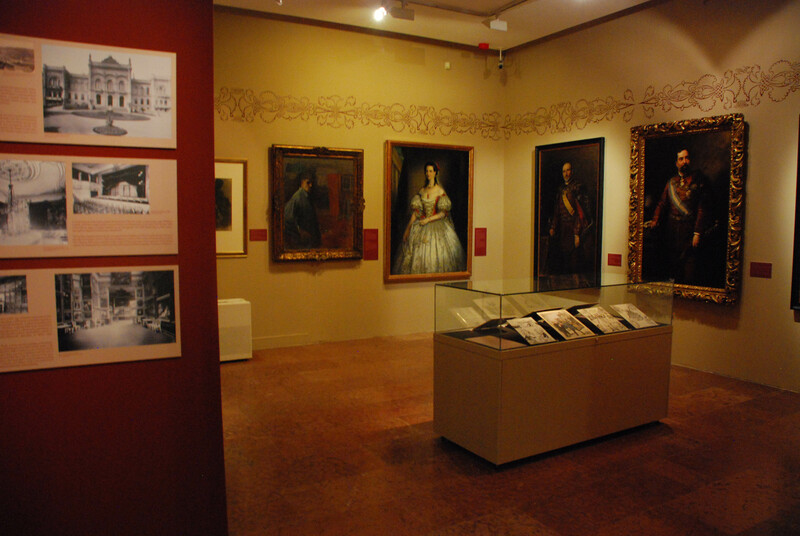 The walls of the exhibition’s exit corridor are covered with photos of Armenian families from the turn of the century, the documents of everyday history. 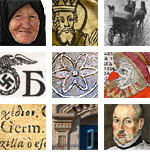 Hundreds of lives and stories that clearly show, how much more to research is in this history. 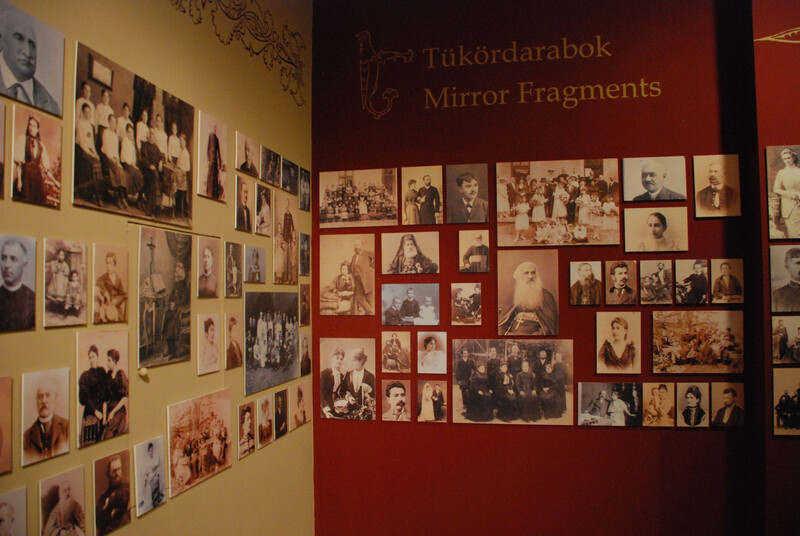 And in this sense the title of this photo collection, Mirror fragments, is indeed valid for the whole exhibition. 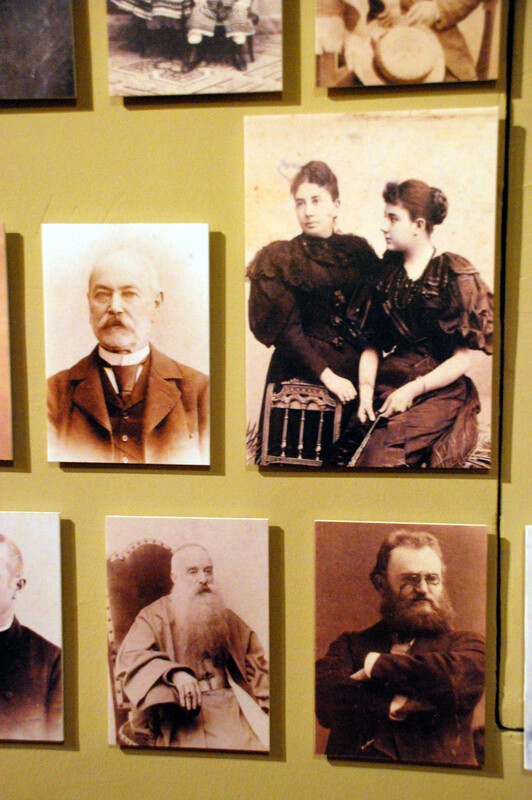 This looks like a fascinating exhibition. 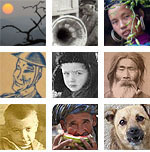 Thank you for bringing it to us! 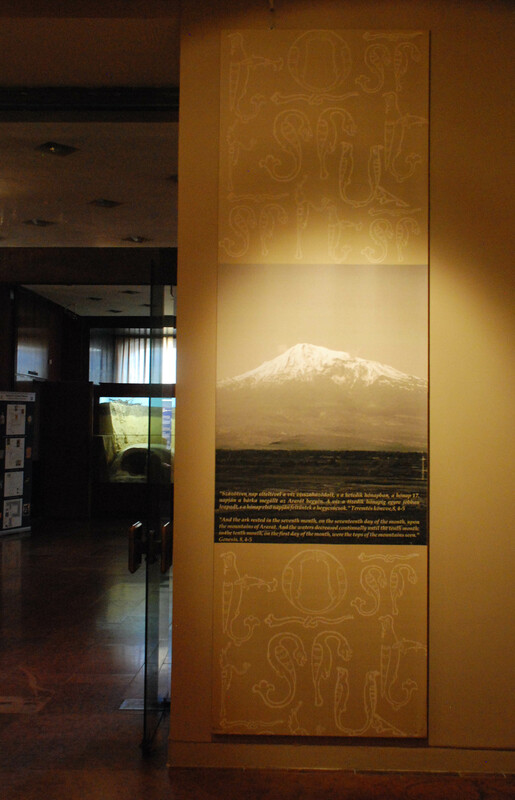 Do you happen to know how long it will be on display? 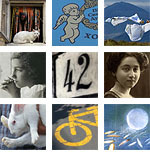 Yes: until September 15. 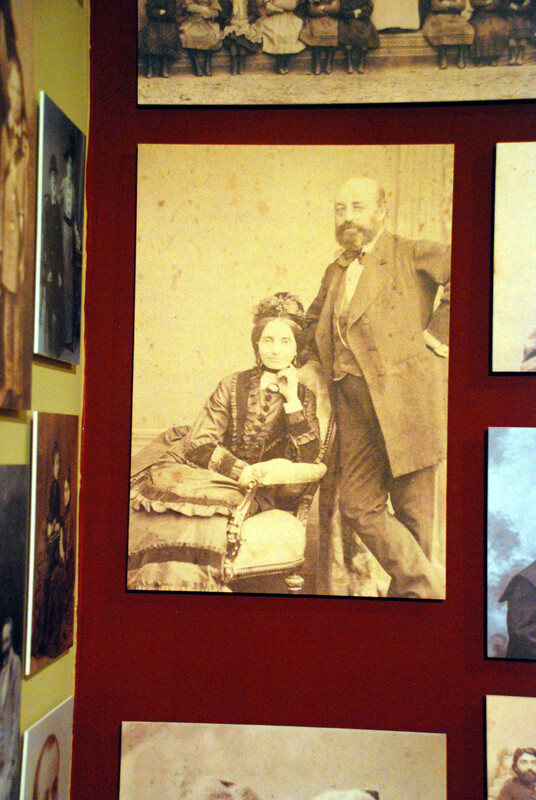 And it is indeed fascinating, so if you happen to be in Budapest, go to see it by any means! 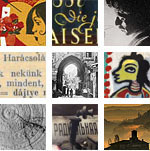 Hopefully by then they will also have a catalog (just now I got a comment in the Hungarian version that it is in preparation).